Homework develops independent study and enables students to become life-long learners. 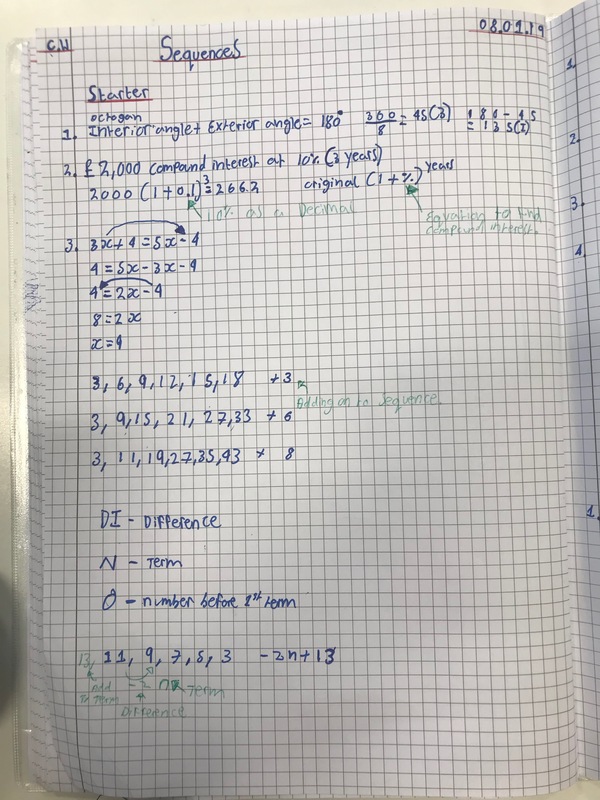 This page explains why homework matters, provides links to our current homework booklets, and includes a portfolio of recent homework completed by students. As the world of education changes, homework is more important than ever. So, what are the five most important reasons homework is important in modern education? 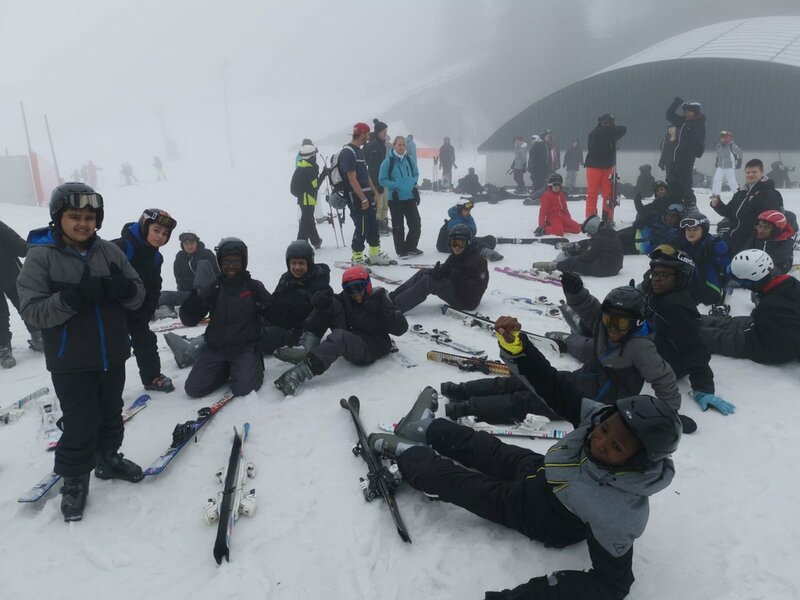 As GCSE courses now place a greater emphasis on end of course exams, it is essential pupils become independent learners at as early an age as possible. With the emergence of the internet, information is more readily available than any other time in history. Relevant, investigative, homework tasks inspire pupils to explore this wealth of information for themselves. Independent study teaches important life skills. Only by working without the support of teachers can pupils learn how to self-manage and find answers for themselves. It's not the work completed in class that will ultimately decide pupils’ GCSE results. It’s the hours spent at home or in the library honing the knowledge and skills required for success. Homework can be fun - an opportunity for parents and other adults to take an active interest in what their child is doing. Years 7-9 should spend around two hours each evening on homework and years 10-11 around three hours. You can download our homework policy and timetable from our Teaching and Learning page. To give you an idea of the kind of homework we set, here are some examples. 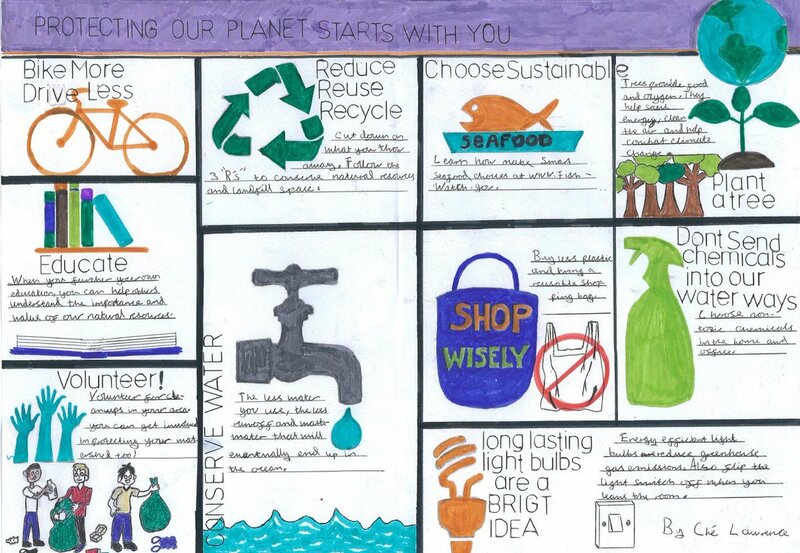 "Protecting our planet starts with you". 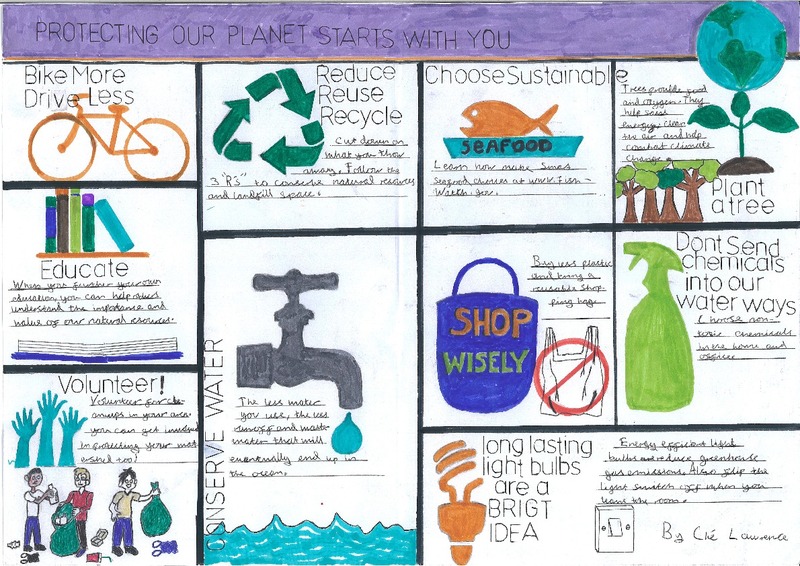 Che, Year 7, has produced this exemplary piece of homework about what we can all do to protect our environment, from cycling more to shopping wisely, recycling to conserving water. Great work, Che! 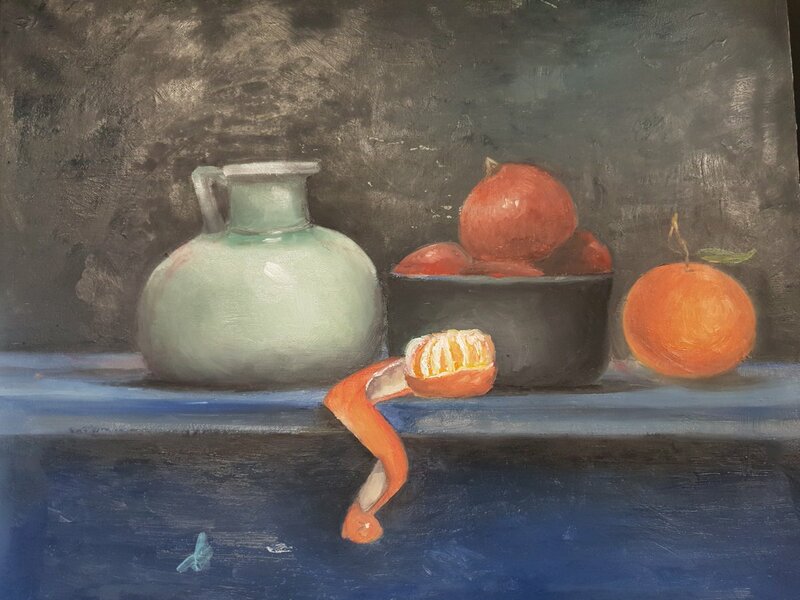 Hassan from Year 10 has produced a beautiful self-portrait completed in oil paints. It is his first time using oil and we think the results are outstanding. Great work, Hassan. Maths homework is done online, so we can't show you that. So here are some pages from students' books showing their work on recurring decimals and sequences. For homework, students had to replicate drawings of an ipod, mobile phone, and toy truck to help them really examine their construction. 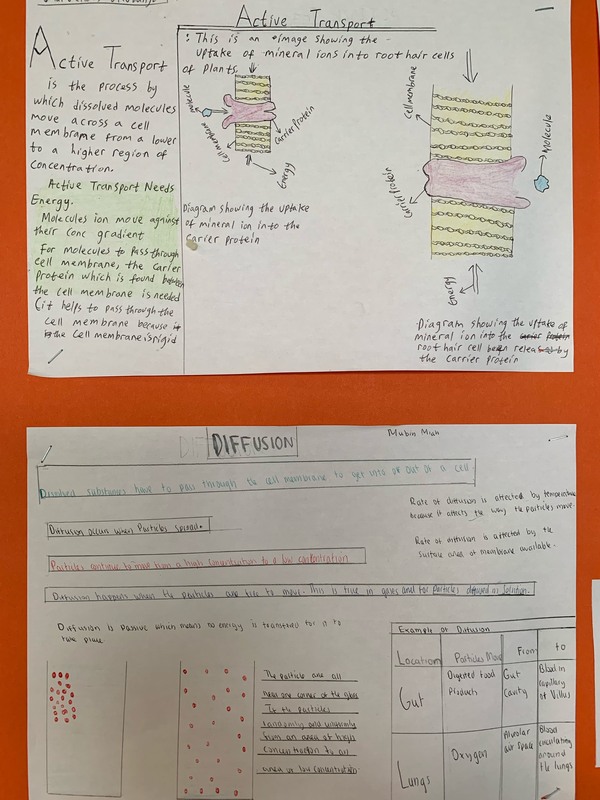 We asked students to produce a revision resource on the different forms of cellular transport. And here's some of the magnificent work they came back with. Excellent written homework by our PE students. Mr Belcher and Zinedine Zidane, compared and contrasted by Samuel, Year 11. 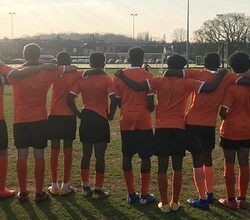 The 22 attributes of a coach, a great analysis by Daniel, Year 11, covering everything from use of language and professional knowledge to appearance and humour. The technical demands of handball and badminton, clearly outlined by Idris, Year 10. Download Toby's great work on the same topic too. The rules of football and badminton, an extensive explanation by Leo, Year 9. Download Noah's great explanation too. 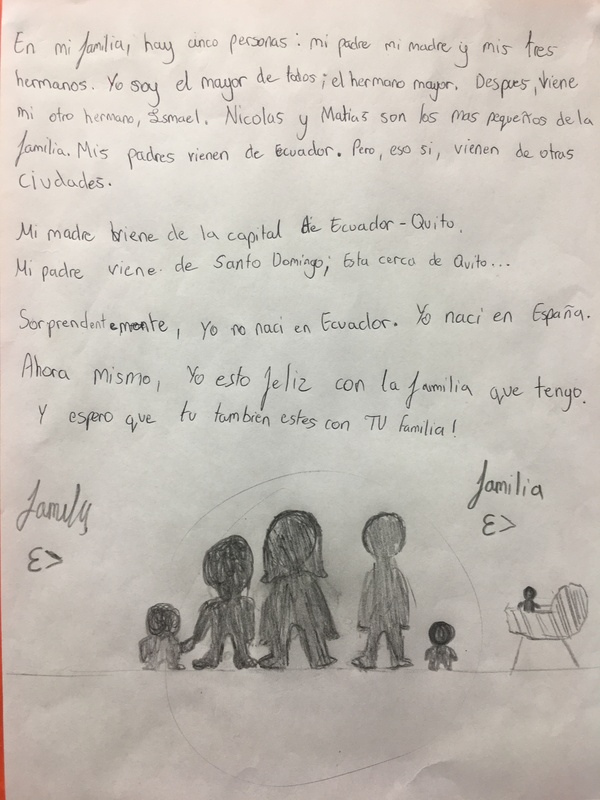 Brilliant homework about 'My Family' from Year 7, with some drawings too! 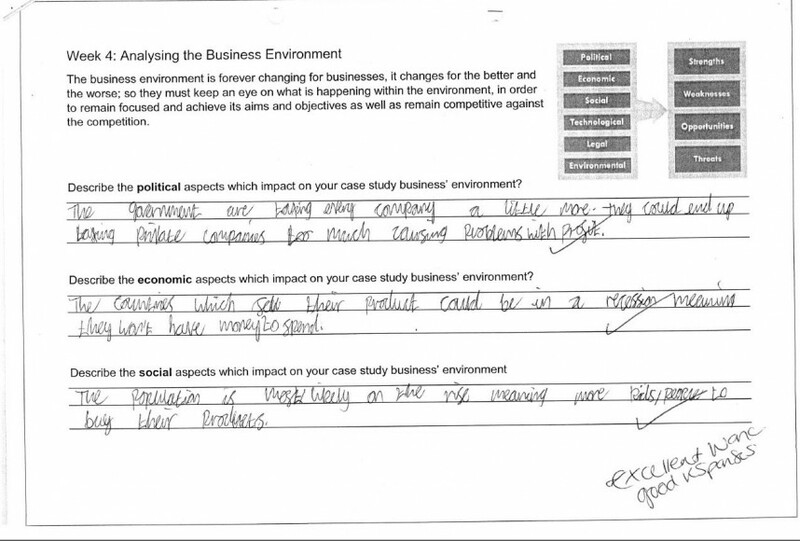 Alfie, Year 12, writes about customers and communication for his business homework. Samuel has created a storyboard as part of his design for an interface he is building. 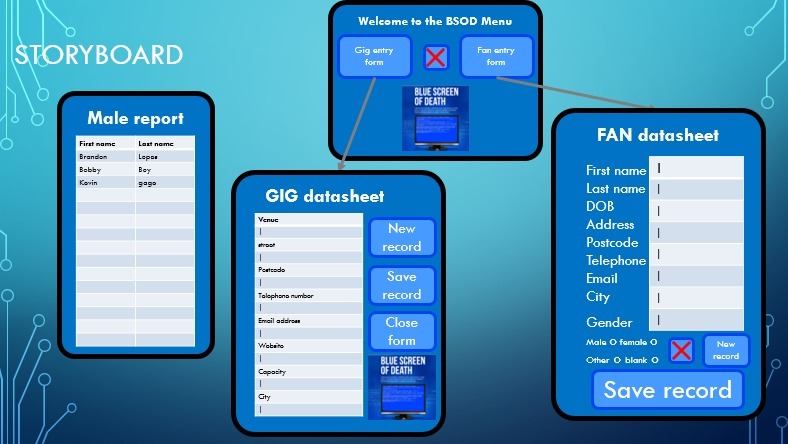 The storyboard shows what the interface will display, with specific user interaction. Creating a storyboard teaches boys about project planning techniques. Good work, Samuel. 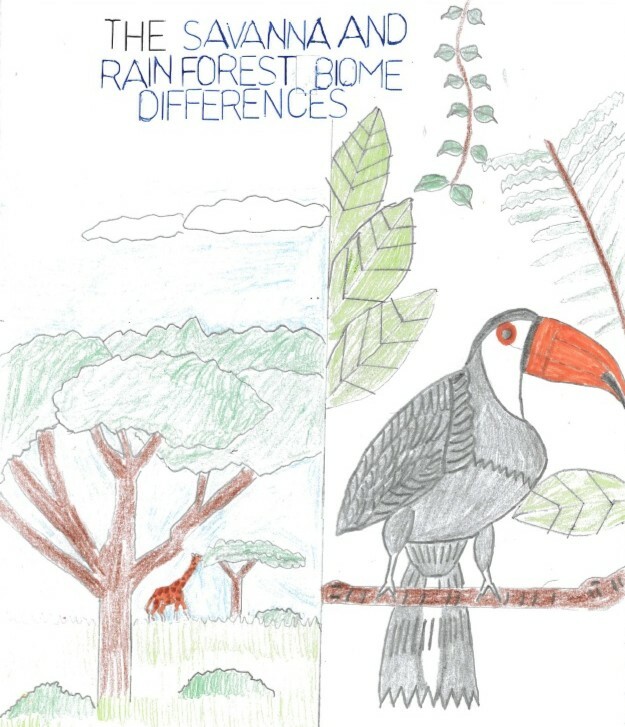 Che has made a fantastic booklet to demonstrate his knowledge and understanding of two major global biomes (savanna and rain forest) including their flora and fauna. He's added some great illustrations too, as you can see. Well done, Che! Download Che's booklet. 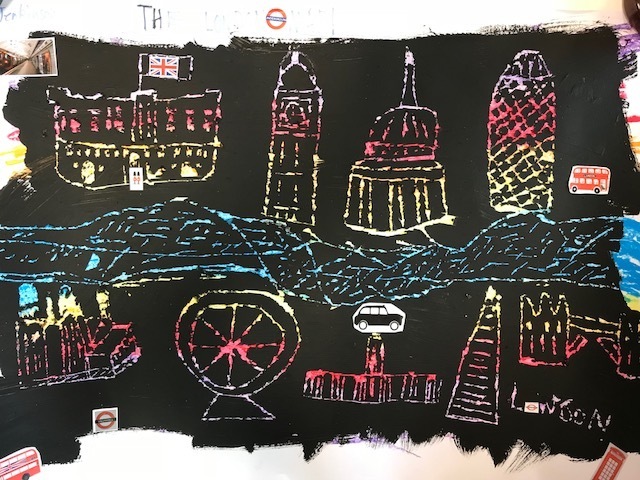 We really like this beautiful drawing which Amar did for his Art homework. A big well done to Reuben and Dylan for their fantastic effort in their Geography homework. Keep up the effort boys! 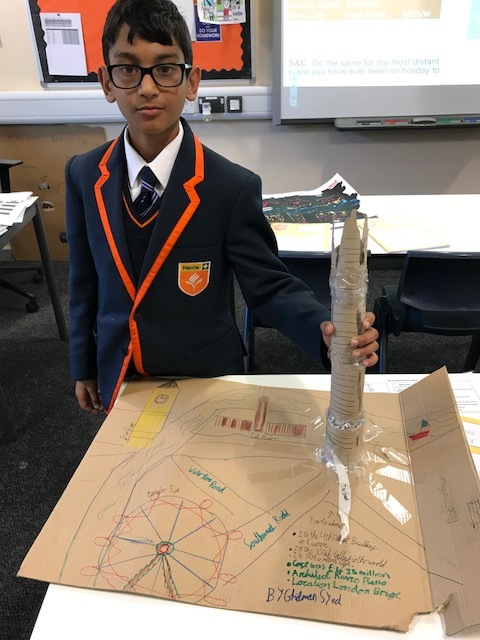 Well done to Syed (Year 7), pictured with his London map, for his great efforts with his homework. 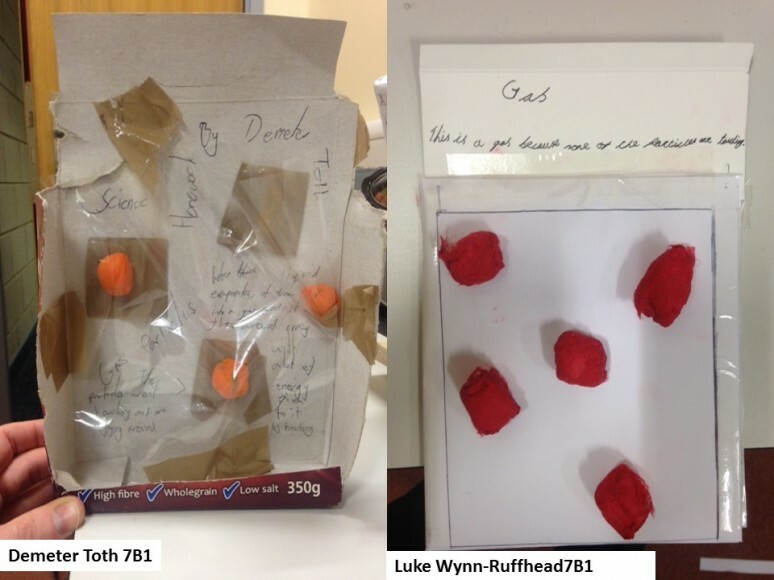 We loved your efforts in making your very own Shard. 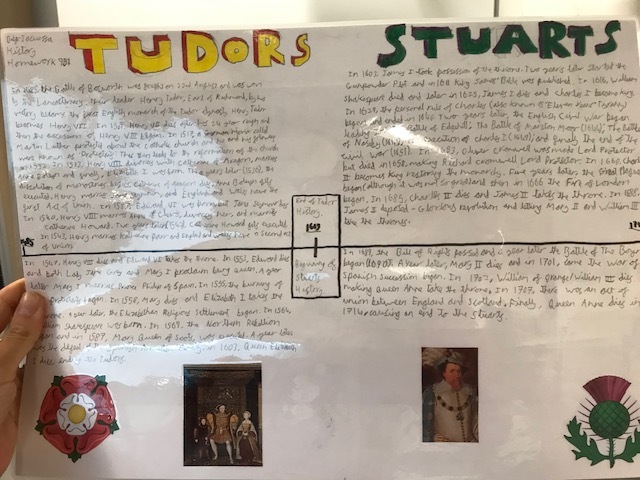 Congratulations also to Diego (Year 9) for his hard work in producing an excellent poster on the Tudors and Stuarts. Both boys have been rewarded with positive Director behaviour points. 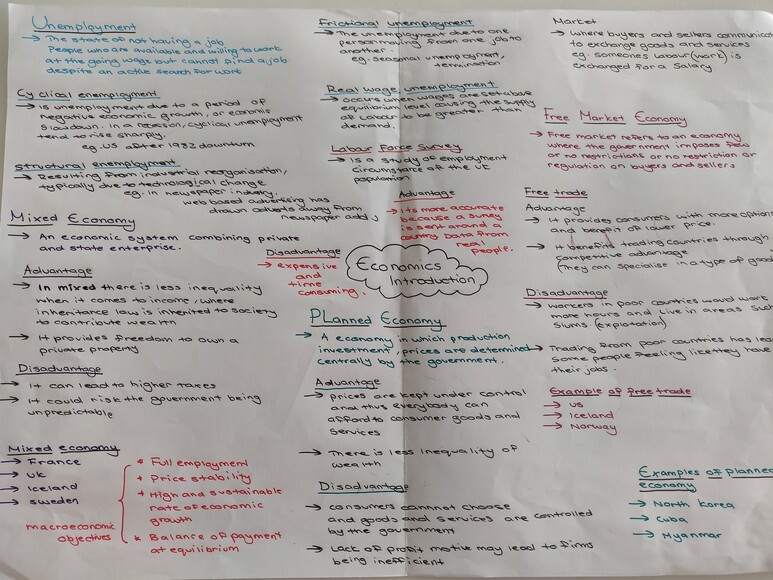 Well done to Tasnim for her excellent efforts in completing her Economics summer homework. 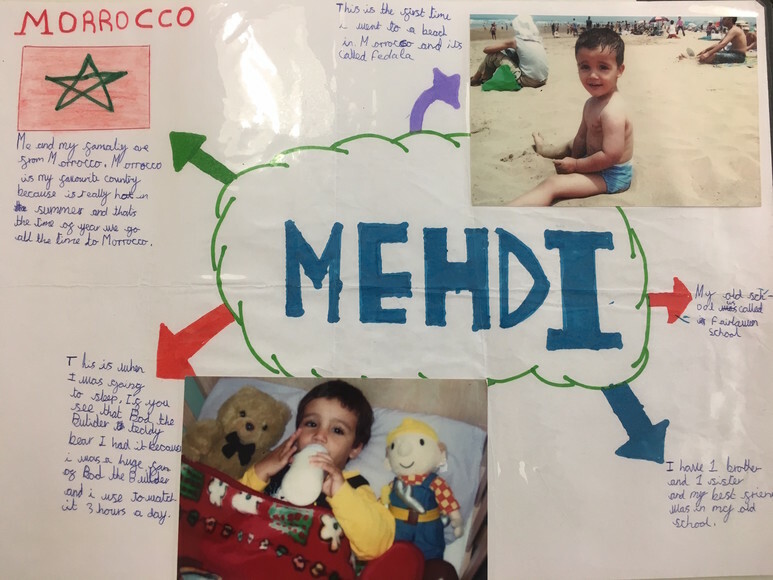 Students are given homework over the summer to help them prepare for Sixth Form studies and this is an excellent example of someone who has set themselves up well for A-level study. Diego created his own WWI trench out of clay, moss, stones and moss. 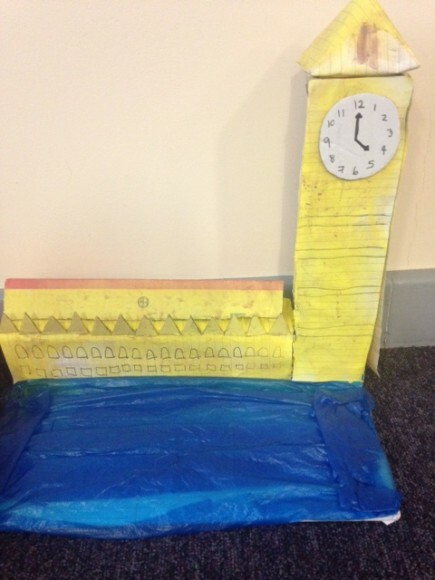 Some serious planning and craftsmanship went into this homework. Very impressive, Diego. 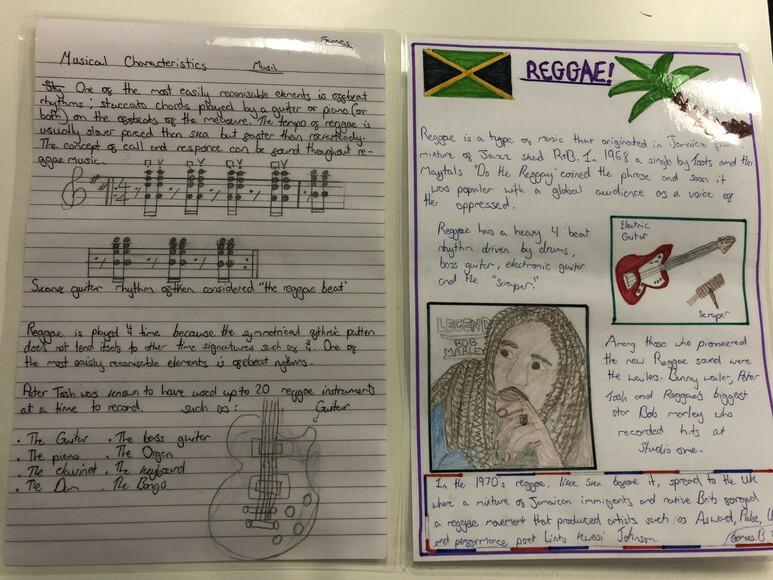 We asked students to complete research on the characteristics of reggae that can be used to inform others. This informative poster was produced by James. The amount of time and effort that must have gone into this resource is admirable and is useful for me to help teach others. 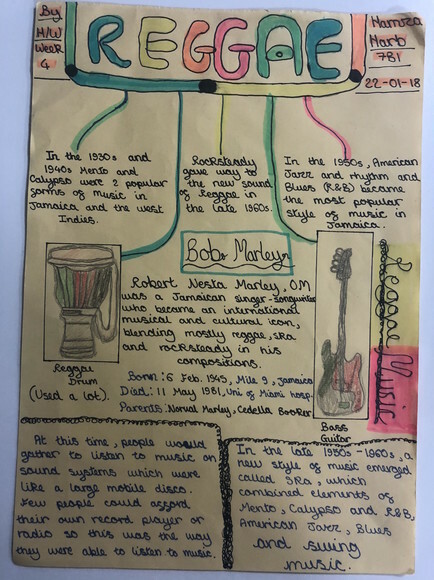 Hamza presented his research into reggae in a way that is not only useful for revision purposes, but the quality of information is very clear for others to learn from too. Syed completed a research project into the instruments of Brazil. This is a picture of the research made on how a Samba drum is used. The amount of time and effort that must have gone into making this instrument is admirable. 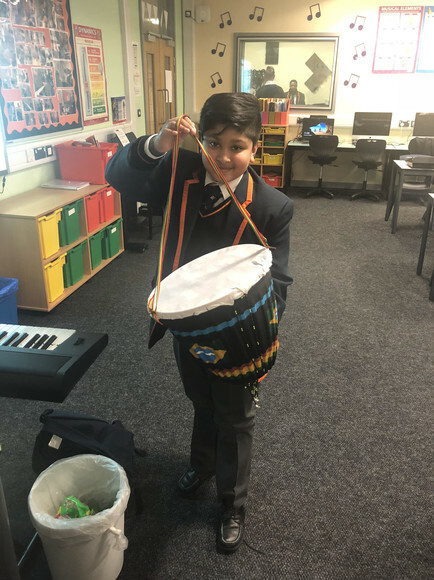 Dylan completed a research project about Samba instruments, and designed it in such a way to make it helpful for revision. Download Dylan's research. The stretch and challenge task was to make the instrument usable in lessons? This is a picture of the percussion instrument that was made by Yaseen. The creativeness of the resources used is very impressive. 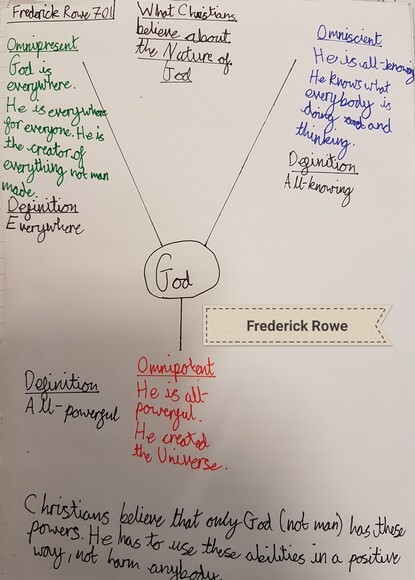 Create a mindmap to show how Christians describe God. Give a definition and a reason for each of God’s characteristics. 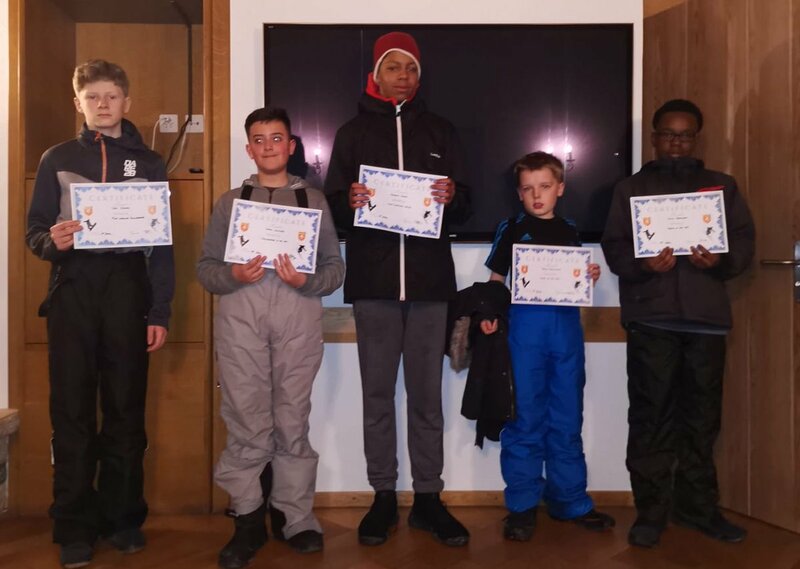 Firdaos, Jason, Alfie, Frederick and Joseph created these wonderful efforts, conductig their own research, and then to presentng it in an engaging way. For History homework, Joseph has created his own Top Trumps cards based on soldiers and weapons from different armies in the past. 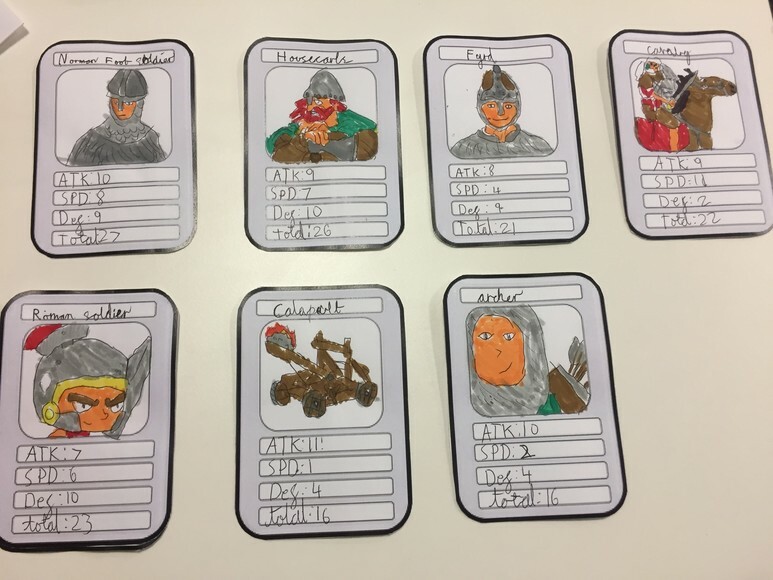 The 'stretch and challenge' homework was to create a set of Top Trumps cards on their favourite historical soldiers. Great work, Joseph! This homework is by Hamza in 7B1. We asked students to research capoeira, the Afro-Brazilian martial art that combines dance, acrobatics and music. We asked students to list three interesting facts about the form. This could include researching and describing key movements from capoeira. They were also asked to label the different performance spaces for capoeira, drawing a formation for each space and explaining how it links back to the idea of capoeira. They could also design their own performance space for a dance piece based on capoeira. 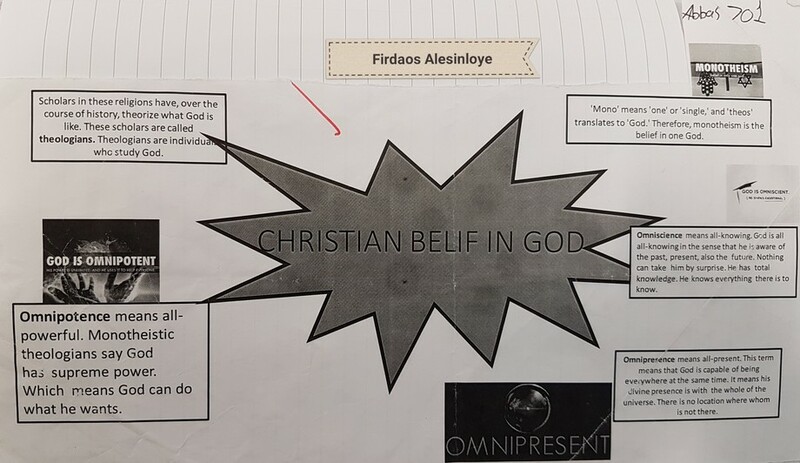 Hamza has provided an excellent example of a detailed homework booklet and truly outstanding effort and presentation. 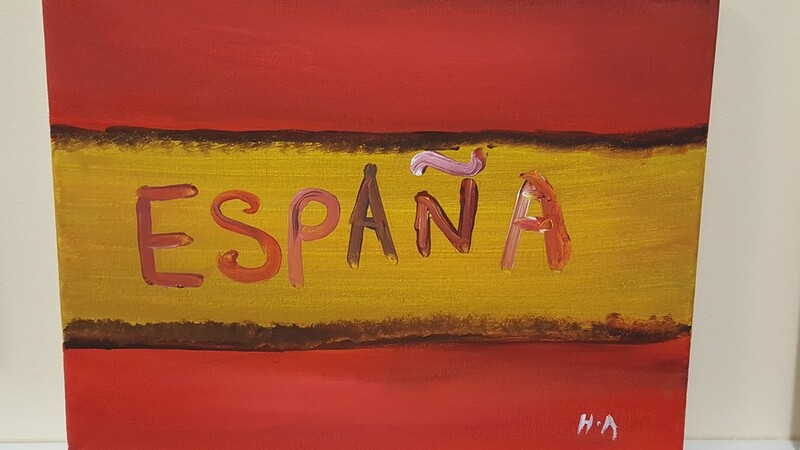 We asked boys to create a painting reflecting Spanish culture. Hassan and Awais created this fantastic artwork. A huge well done to them both. 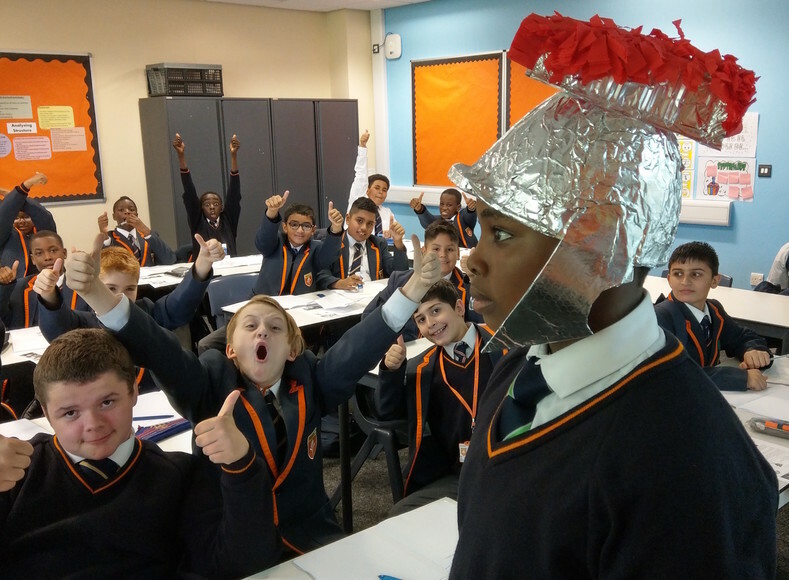 Jacob in 7B3 goes 'above and beyond' with his homework on the Roman Army and gets a very Roman ‘thumbs-up’ from his classmates. We're using online questions system Educake Science to encourage students to not only answer questions set by teachers for homework but answer extra questions too. 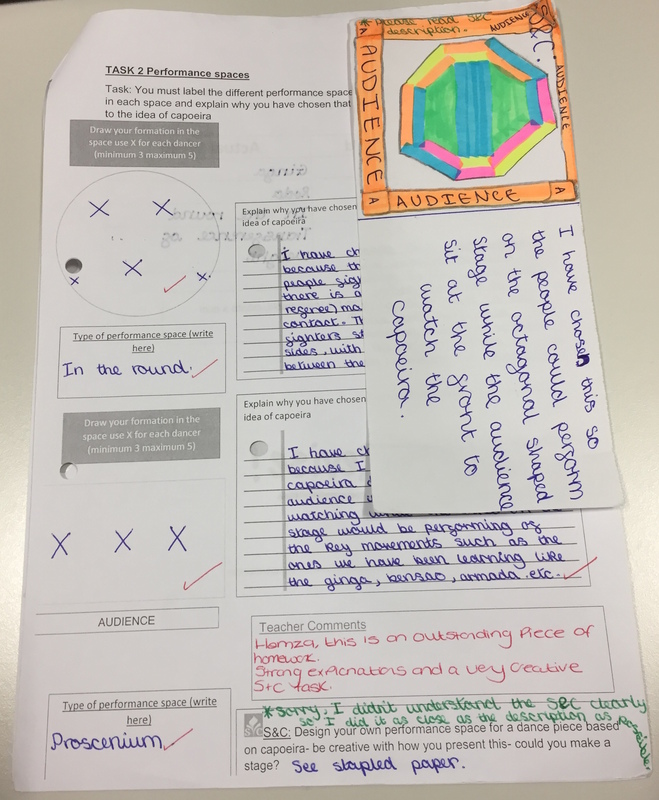 The system monitors how many questions students are answering, and how many are correct, so we can track progress easily and also reward students who 'go the extra mile'. 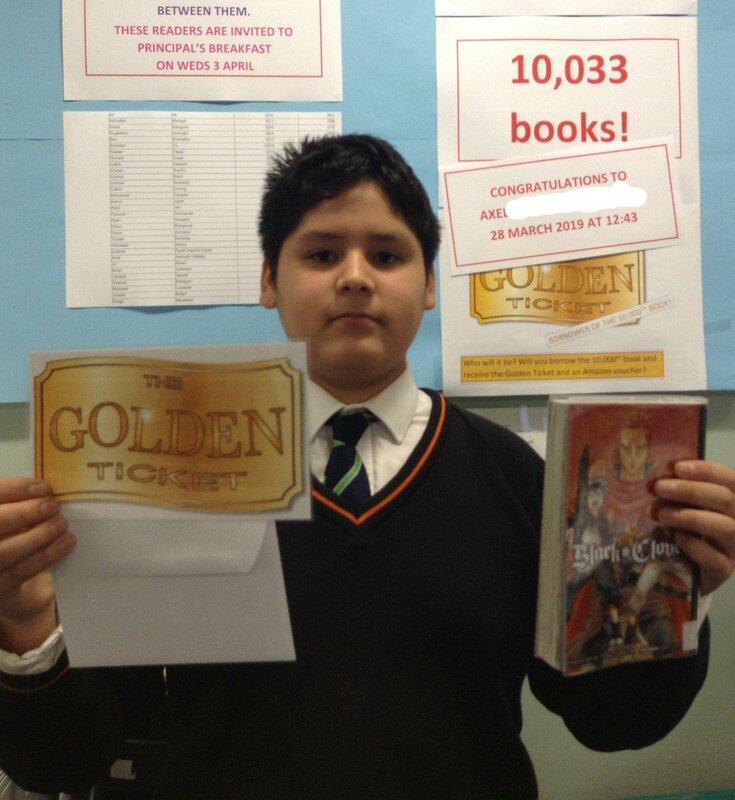 Femi in Year 9 (pictured), for example, answered 186 questions last week! Jamie and Antionie, also in Year 9, both answered fewer questions (23) but got 100% correct. 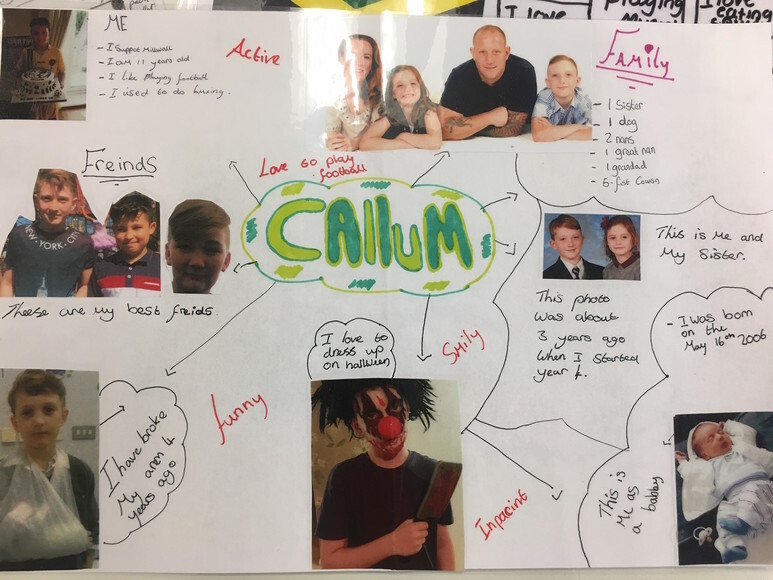 “Our Lives” is this term’s theme for Year 7 English students, who have been creating wonderfully descriptive mind-maps about themselves, including information about family, friends, hobbies, talents, likes and dislikes. 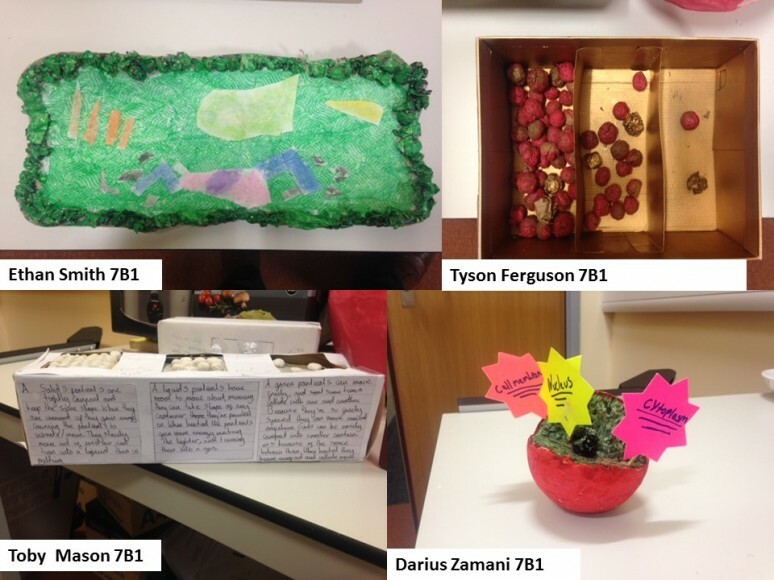 Here are four by Callum, Nihal, Mehdi and Joshua for you to enjoy. 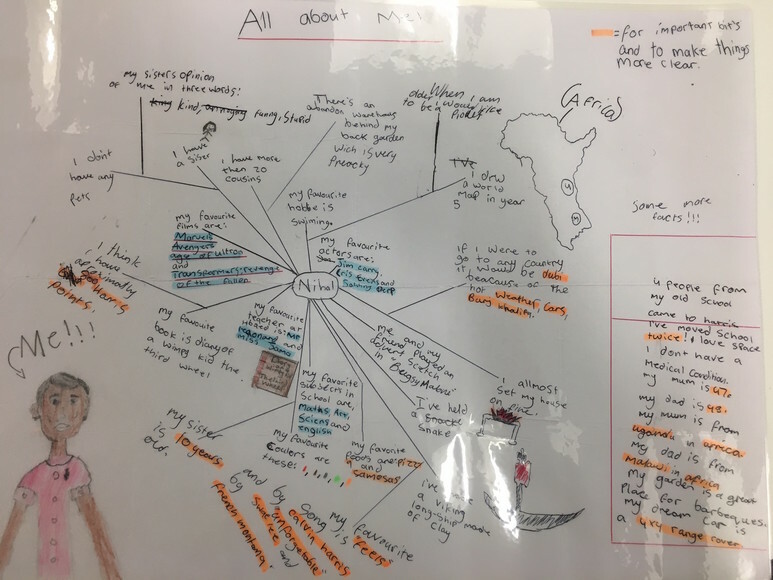 Students have put in a great deal of effort with their mind-maps adding personal touches and photographs. We asked Year 9 to research comments made by UN Secretary General Ban Ki Moon on Social Justice. 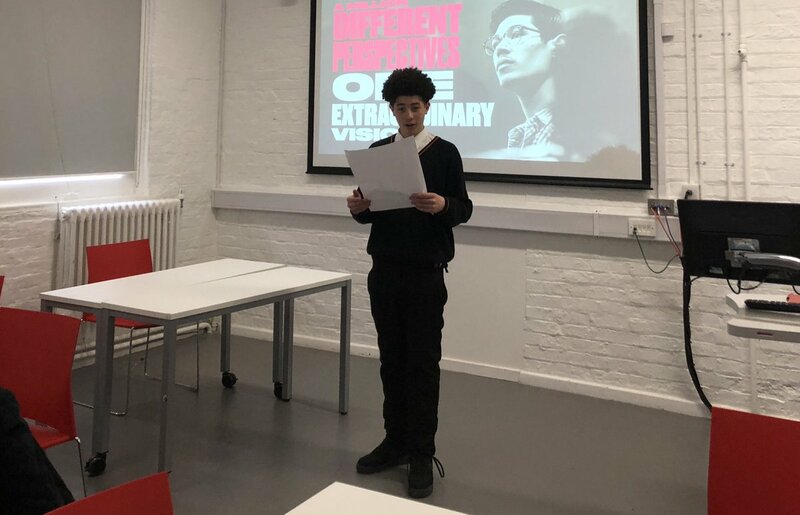 Max Nunes-Wynyard has not only researched and recorded quotations required for his classwork, but he has also given a personal reflection on the importance of social justice in modern society, particularly in reference to wealth disparity. 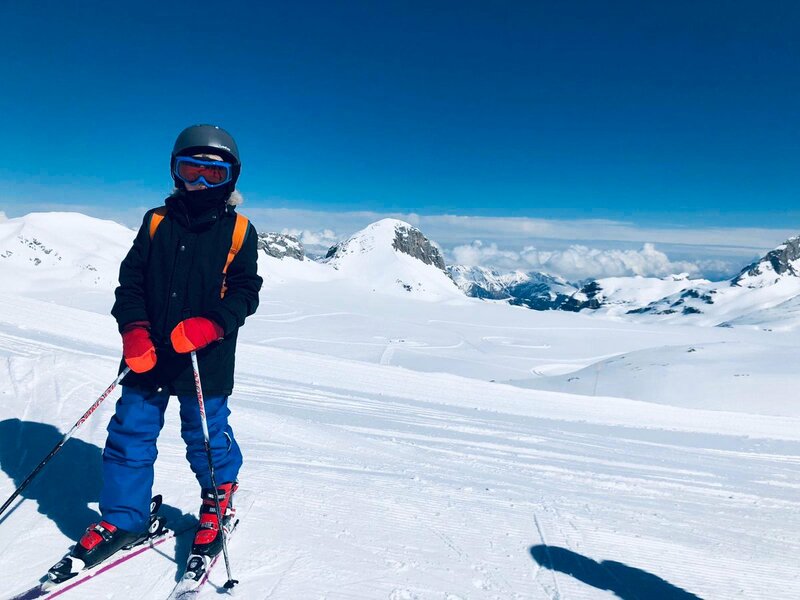 Well done Max! Read Max's homework. Alfie didn’t just revise Pilgrimage for his Religious Studies homework, he went to Lourdes! 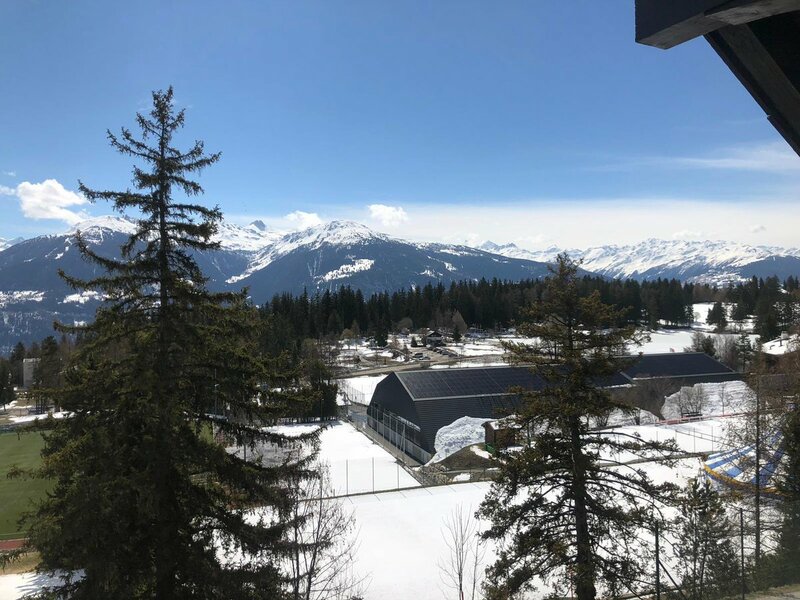 His diary gives a wonderful account of what it is like for a young person to visit the site of Bernadette Soubirous’ reported vision of the Virgin Mary. It shares a special and personal religious journey that goes above and beyond the revision of key religious themes that I had requested. Lourdes, in southern France, is venerated by millions of Catholics worldwide as a site of holy pilgrimage. Read Alfie's account. 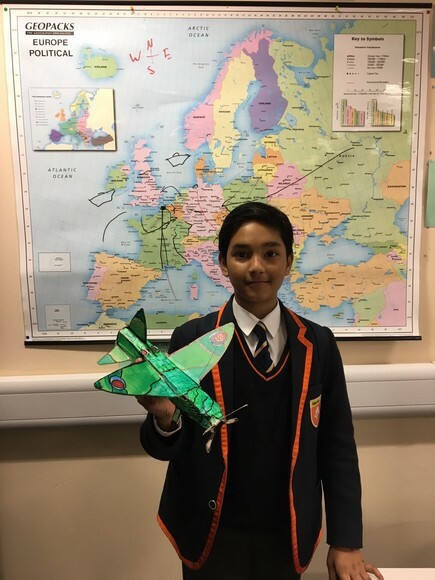 Hassan made this amazing model spitfire as part of his history homework. 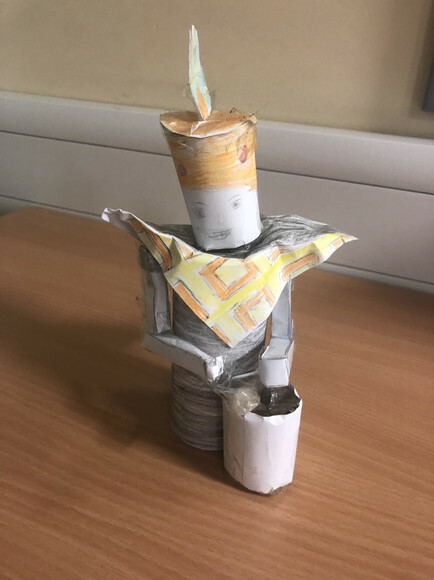 For his art homework, Karim used wrappers of sugar-based products to create a three dimensional object, using different colours, logos and shapes. 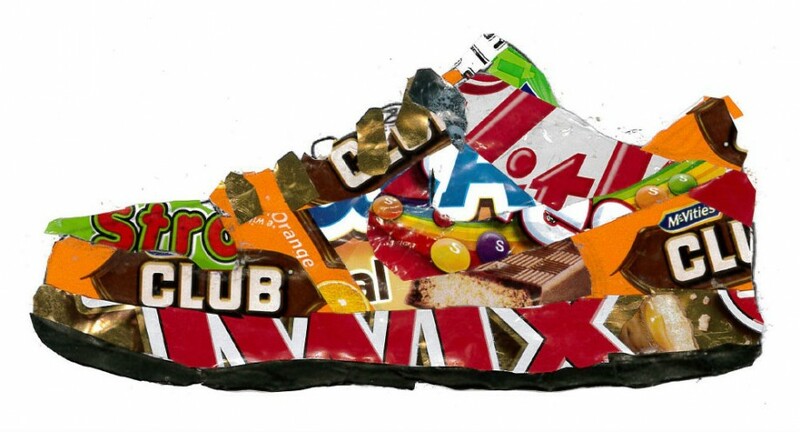 He has shown intricate detail in this collage and used contrasting wrappers to great effect. 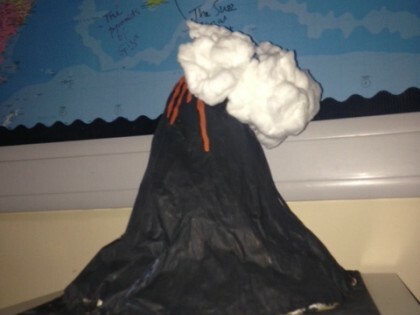 Alexsander created a working volcano for his ‘stretch and challenge’ Geography homework. He included a sparkler type candle in the volcano’s crater to show what it would look like erupting. We lit the candle to show the effect to the whole class. 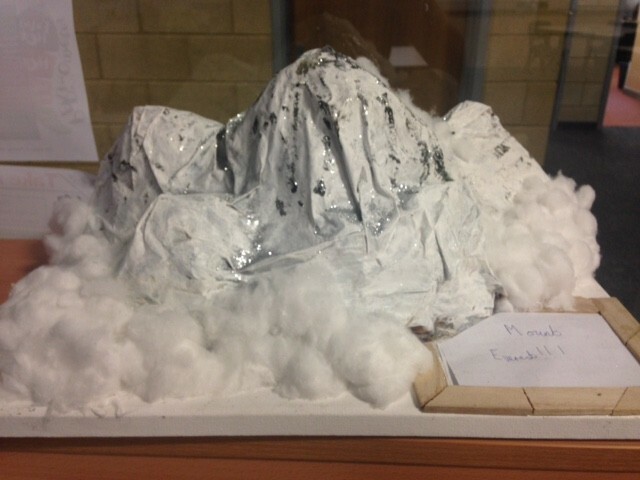 Hassan has created an extraordinarily realistic model of a volcano showing he has researched real life volcanoes. This is Daniel Asante’s homework about the rejection of wealth and privilege by the Buddha. 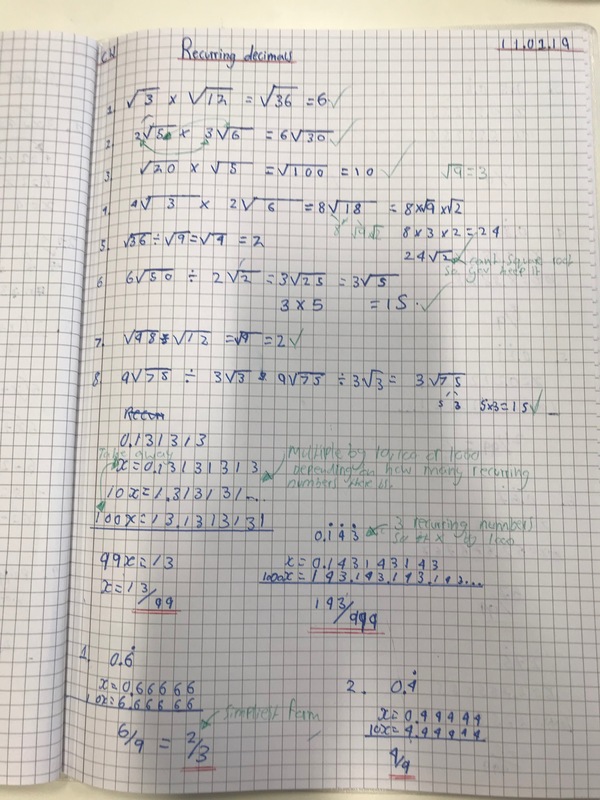 He has also linked his homework to his classwork during his green-pen review in class, which is a fantastic piece of analysis. Compare the ways in which poets explore the roles of women in ‘Eat Me’ and ‘The Map Woman’. 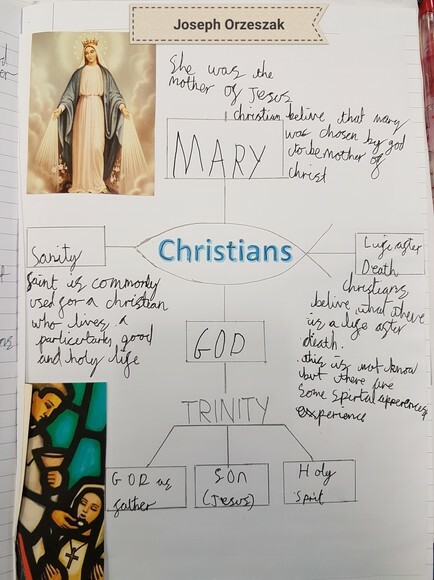 This homework by Matthew Briggs is special because it shows an exceptional level of detailed analysis and effort and considers a very wide range of ideas. Download Matthew's essay. Explain the trend in 1st ionisation energies. This answer, by Alex Henderson, shows the question being answered from various viewpoints to deepen learning. Alex has gone away and amended his wording to get top marks. Download Alex's answer. 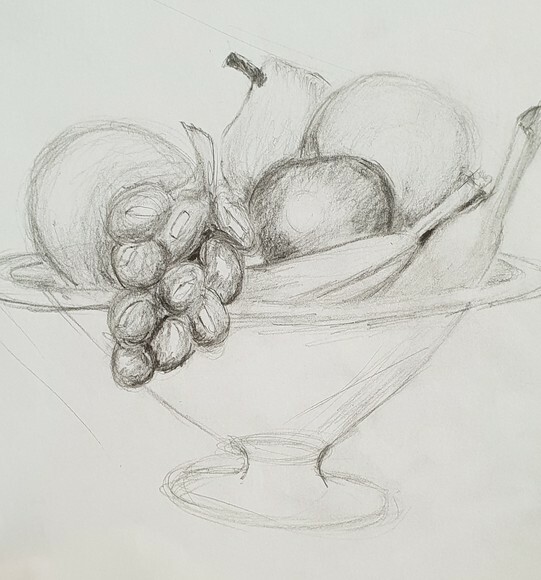 Fill the page with a drawing of an object or objects, focussing on tone and shading. Stretch and challenge task: research mark-making and include some of this in your drawing. 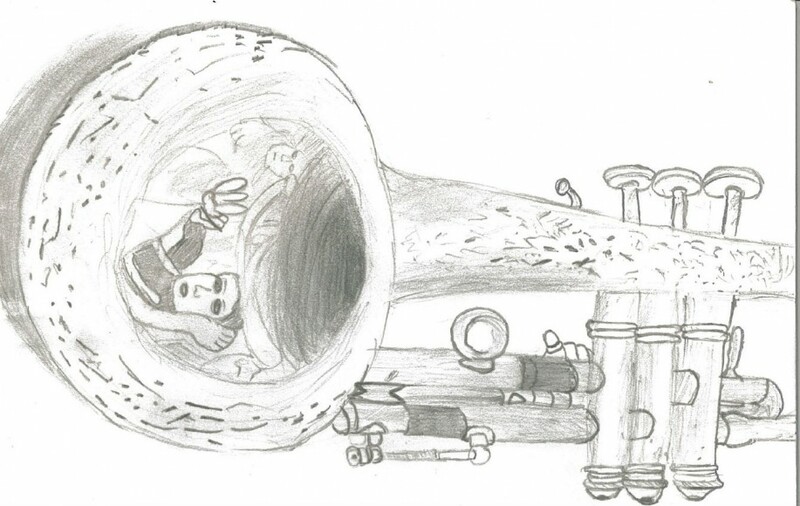 This drawing is by Connor Treacy, who has shown great competency in his use of detail and tone in the image. He has accurately shown the form of the object and even included some reflections. He has also done the stretch and challenge task and has researched some mark-making techniques and used that to add texture to the image. Research the nature of discipleship, using the Gospel of Mark. Joe Nicholls completed a very good piece of research, touching on the nature of Jesus within the synoptic Gospels. He has also alluded to the prophetic metaphor used by Isaiah in his description of Jesus and John the Baptist. Download Joe's homework. 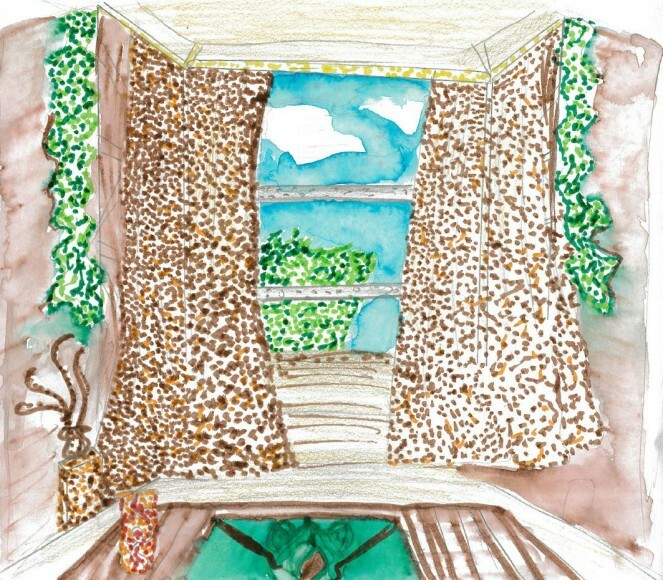 Draw a view from your window. Think about the landscape that you can see and recreate this. This beautiful mixed media response, complete with details and the effect of pointillism, is by Hassan Nasir. A fantastic effort. Find any examples of exorcism, with relevant referencing, in Matthew, Mark and Luke. 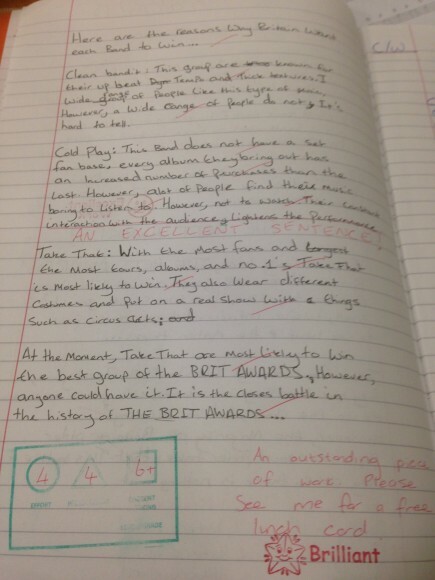 Alfie Nolan's homework not only has references, he has offered descriptions and explanations of their content too. 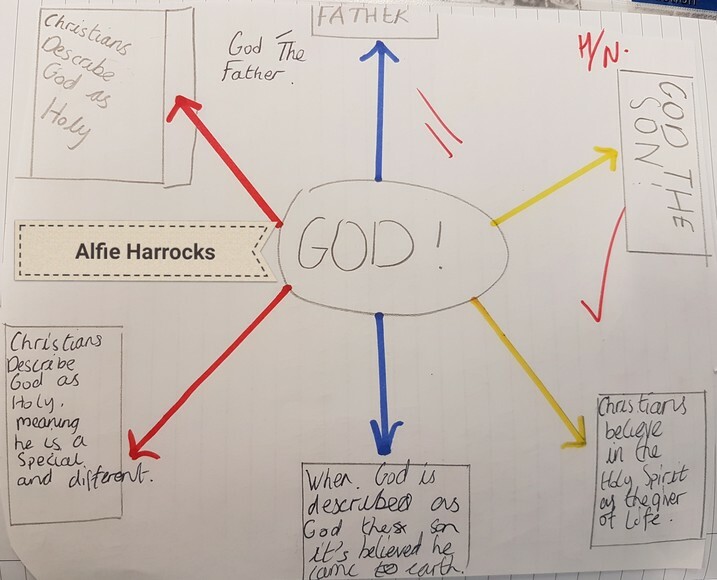 Download Alfie's homework. Write a diary entry from the perspective of Abraham after he was commanded to sacrifice his son. 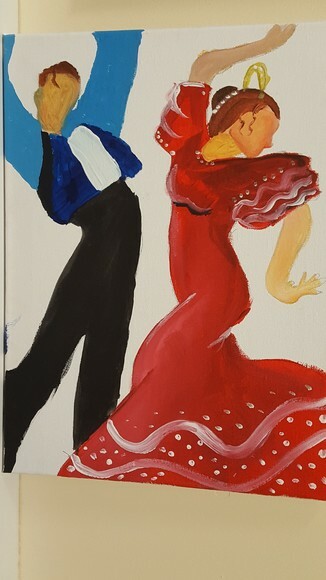 Luke Nofio completed this as a supplementary piece of work at home, entirely because he was interested in the subject. Download Luke's powerful piece of writing. 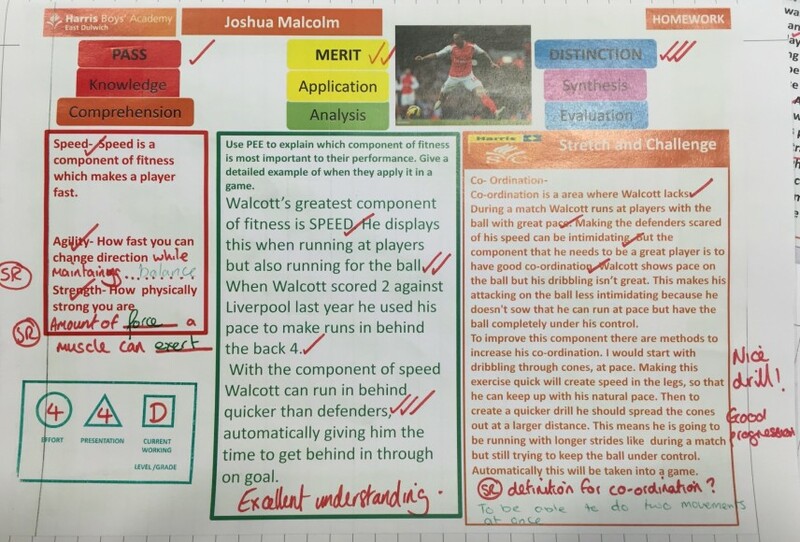 Write an article explaining why footballers are overpaid, using persuasive techniques – Hope F, Year 8. 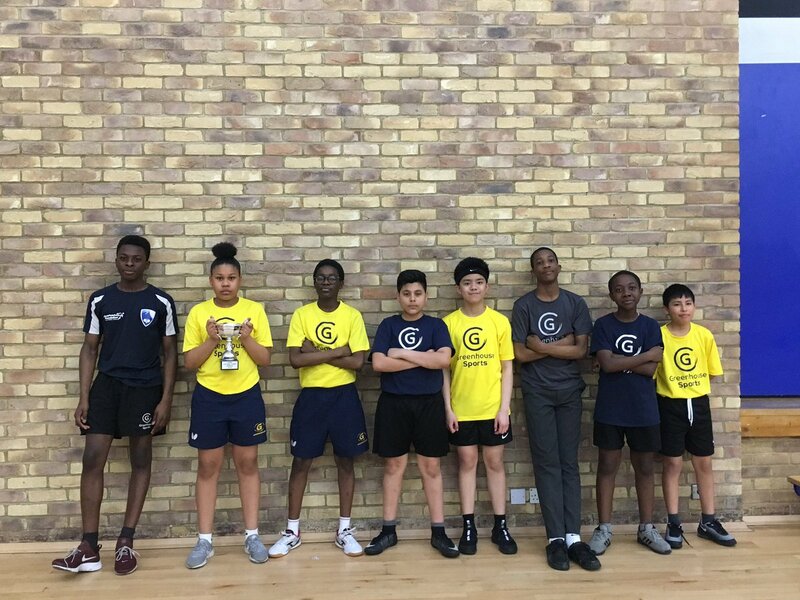 To prepare for the BTEC Sport unit 1 exam, we asked Year 9 students to identify a sporting performer who would require each component of physical fitness (muscular strength, muscular endurance, speed and body composition). 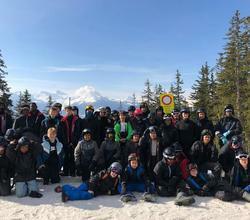 Nathaniel Anang applied his knowledge of the components of physical fitness to his chosen performers. This allowed him to provide a detailed explanation of their sporting requirements to distinction level. Download Nathaniel's presentation. Daniel Lavarias has demonstrated a sound subject knowledge and understanding of the components of physical fitness covered. Download Daniel's presentation. Cain Samuels has structured his work effectively which, together with the quality if his explanation, allowed him to meet the distinction grade criteria. Download Cain's presentation. 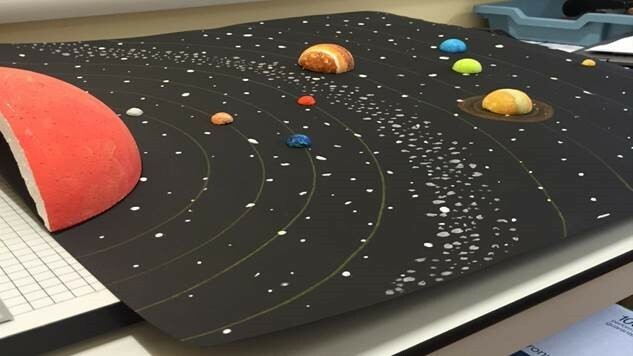 Following our topic on the Solar System, we asked Year 7 students to choose a planet and then create a 3D model of that planet. The stretch and challenge task was to create a mini 3D solar system. The two pictures attached show the model produced by Anton Milev. 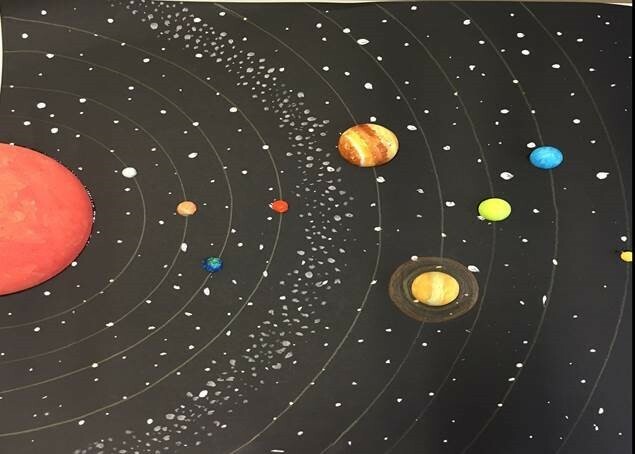 It is clear to see that he has put an incredible amount of time and effort into this piece of exemplary homework and decided to stretch himself by creating a model of our entire solar system. We were also extremely impressed with Anton’s attention to detail with regard to the size of planets he created. Students were asked to describe their strengths and weaknesses in a sport they played, with reference to how you would improve their skills in future. "Connor Forbes always goes above and beyond with his work but I believe that this is a particularly special piece of work. 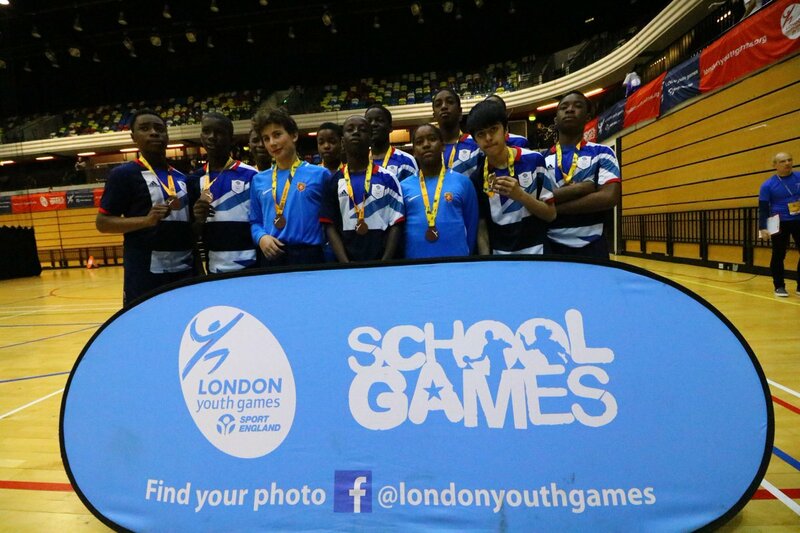 As one of our top handball players Connor has dissected his performance here and given himself an achievable target for the future." Mr May. Download Connor's homework. 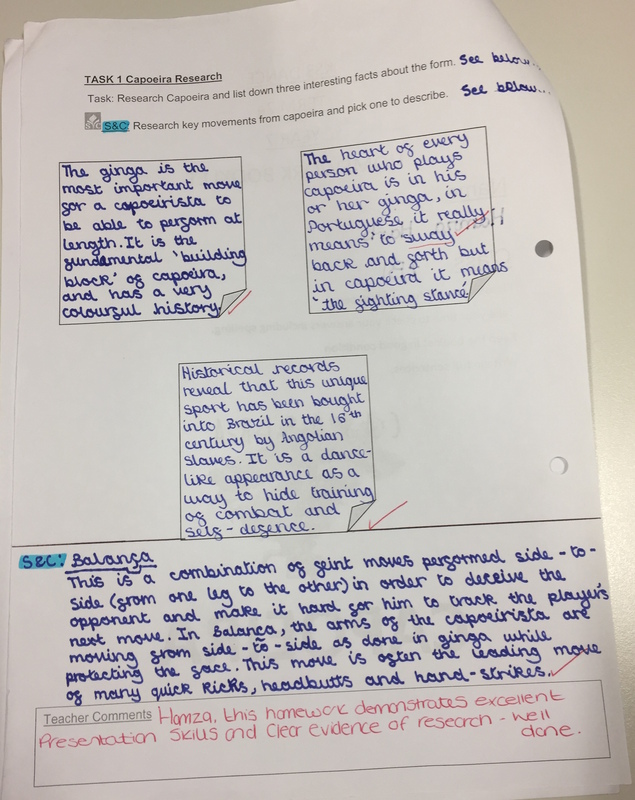 Year 8's Spanish homework was to make sentences with the adjectival agreement, and a reading comprehension. We were particularly impressed by this work by Mohammed Tarawalle because he corrected his mistakes. Download Mohammed's homework. 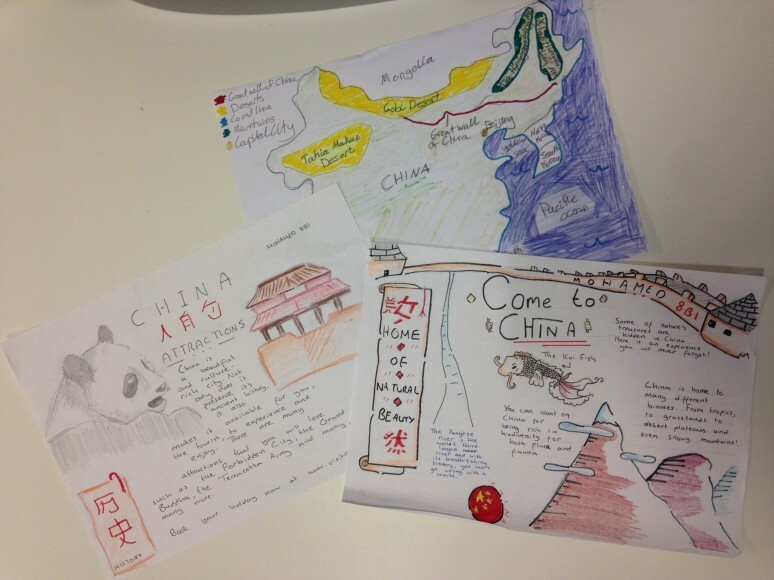 To conclude our unit on China, we asked Year 8 students to create a poster showcasing the attractions of China to foreign visitors, using a map if they wished. As you'll see from the picture, Mohamed Abubaker has used his artistic skills to depict, for example, Chinese pandas and the Yangtze River. 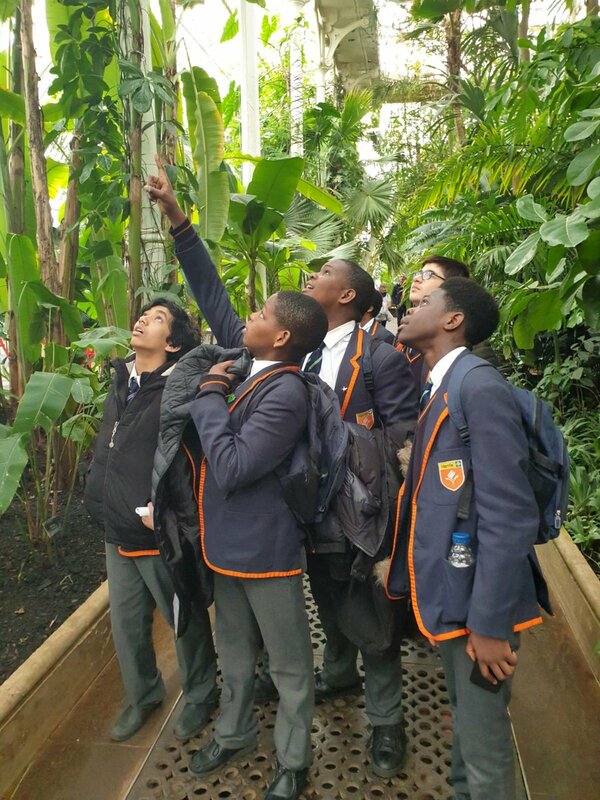 Drawing on key vocabulary, Mohamed notes the quality of fauna and flora across China. Eben Berry has used his cartography skills to draw a map of China, highlighting the Great Wall of China and the Himalayas, amongst other things. Both pieces show a brilliant range of skills and attention to detail. We were particularly impressed by Mohamed's flamboyant descriptions of China. Students were asked to plan and justify a sports session that will challenge their peers. In this piece of homework, Reece Johnson plans a football training session. He shows an excellent level knowledge of someone studying at a higher level, and he also put time and effort into ensuring that he has presented the information in an aesthetically pleasing way. Download Reece's plan. 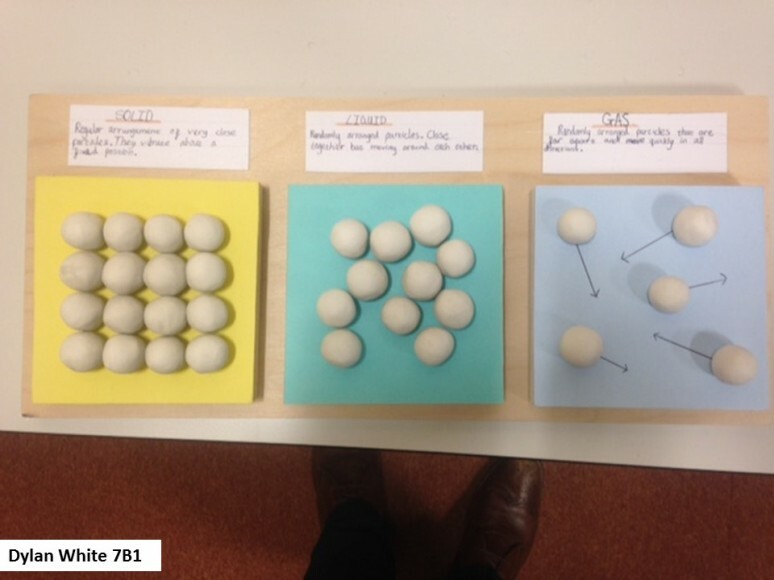 This homework task was to create a 3-D model of a solid, liquid or gas. 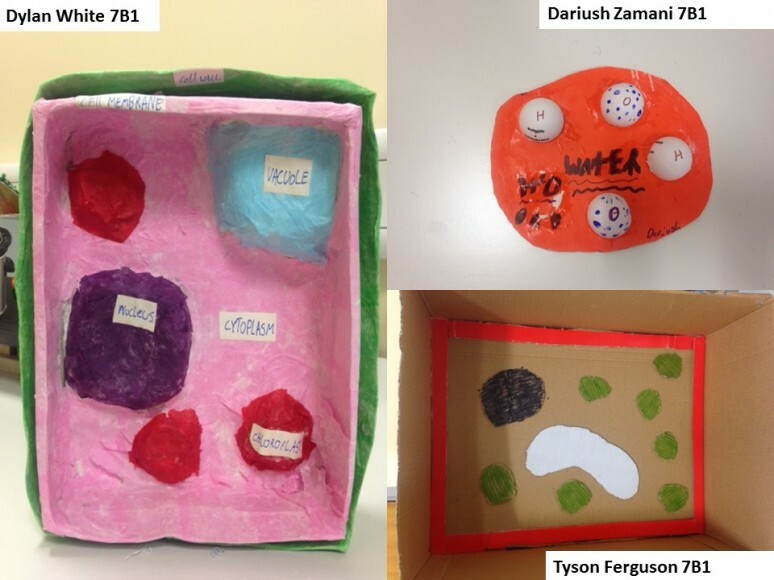 Or create a 3-D model of an animal or plant cell. The pictures show several of the models produced by students. 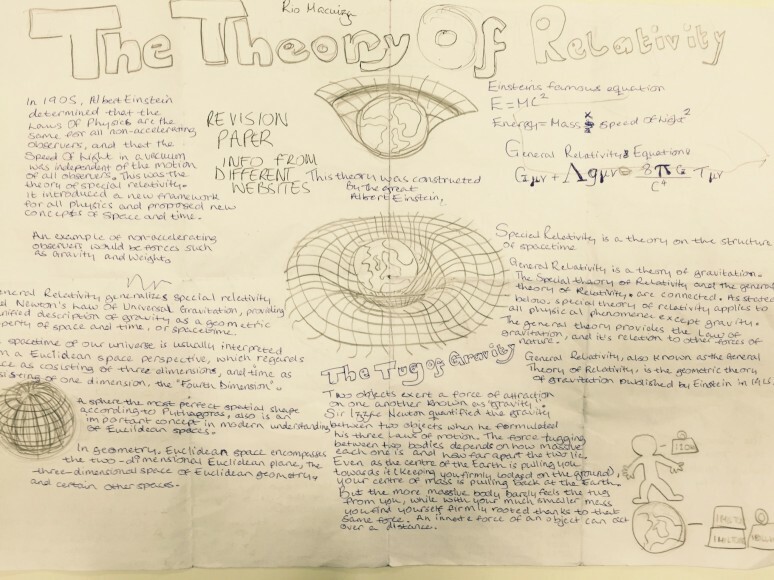 They are amazing examples of pupils going far beyond what is asked of them, and using creativity and scientific knowledge to label and explain what is happening around us. Students had to identify their chosen athlete’s best three components of fitness and use PEE to explain which component of fitness is most important to their performance. They were asked to give a detailed example of when their chosen athlete applies it in a game and choose one component of fitness that they would improve for the player to make them the ultimate sportsperson. They had to explain why it would make them better and justify how they would do this (ie link to methods of training). 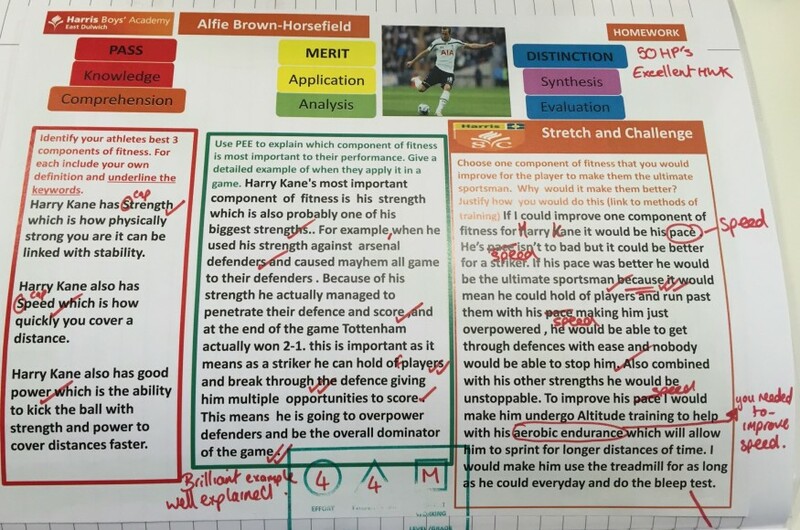 Here is the homework by Alfie Horsefield-Brown (writing about Harry Kane) and Joshua Malcom (writing about Theo Walcott). 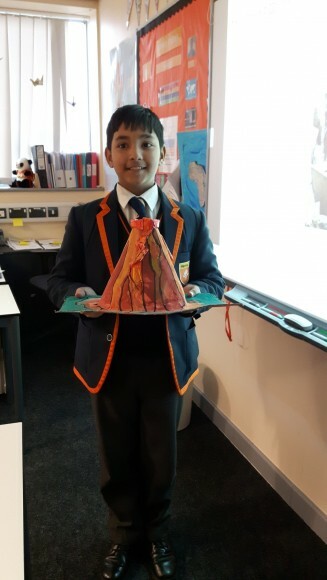 The task was to create a model of a volcano and Wasim (Year 8) got incredibly creative - not only crafting a very life-like volcano out of paper mache but also researching the best way to create a 'smoking effect'. He settle upon a humidifier and a red light which gives a fantastic impression of an active 'smoking' volcano. An impressively life-like model that shows great effort and inventiveness. 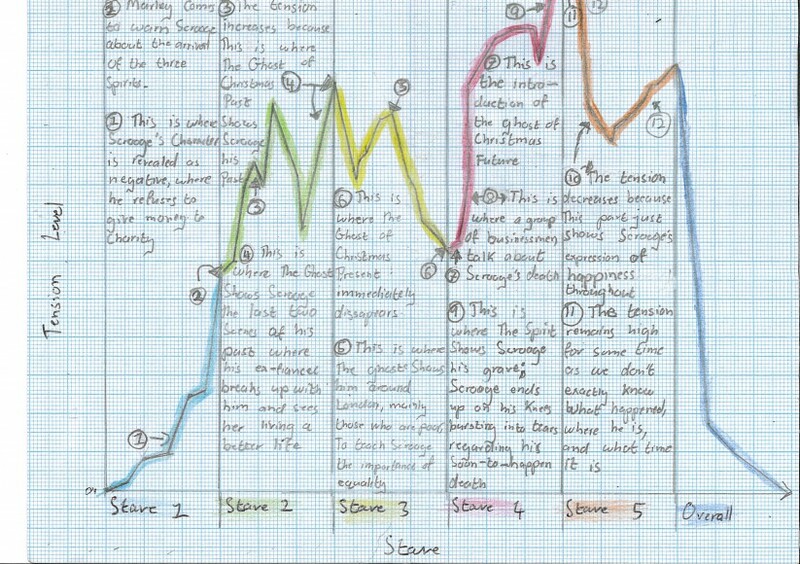 Create a graph that shows the tension through the novel A Christmas Carol to show your understand of how the plot develops. 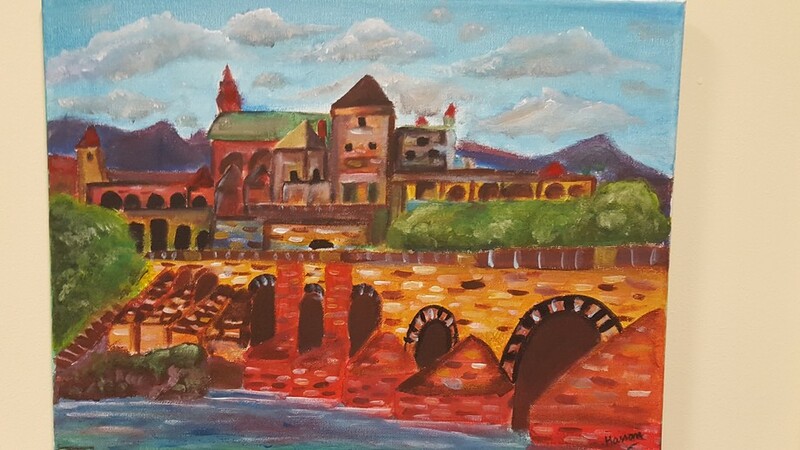 Benedict Kwakuyi put in a special effort with this homework by making it eye-catching and detailed. Describe how climate change is affecting our planet. 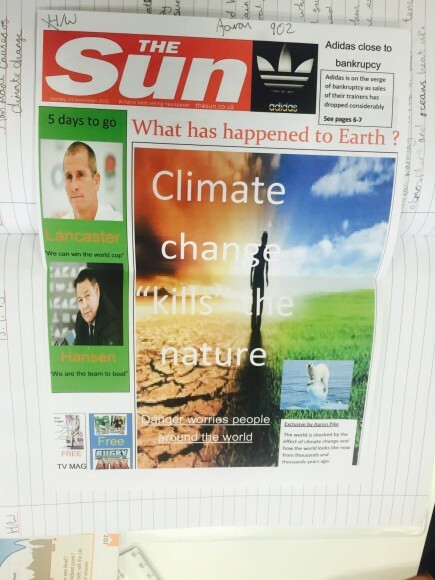 Write your piece in the style of a newspaper article for the tabloid press. Roman army. Draw and label a Roman soldier. Find out 5 facts about Roman soldiers you think your teacher won’t know. This drawing is by Anton Milev, who took great effort with his presentation. Download Anton's drawing. Create a story board/set of images to show how Rome expanded. Label your image. Challenge: include accurate dates of important events and battles! 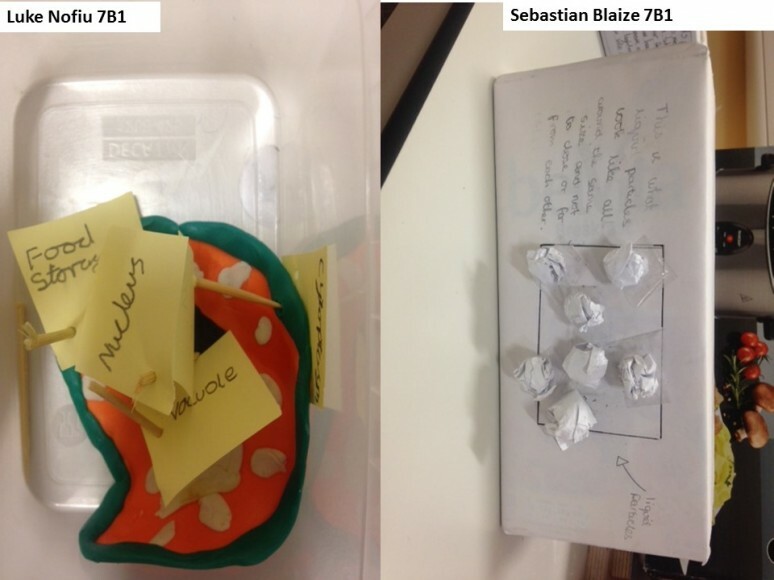 This picture by Dylan White shows great creativity and a good interpretation of the homework task. 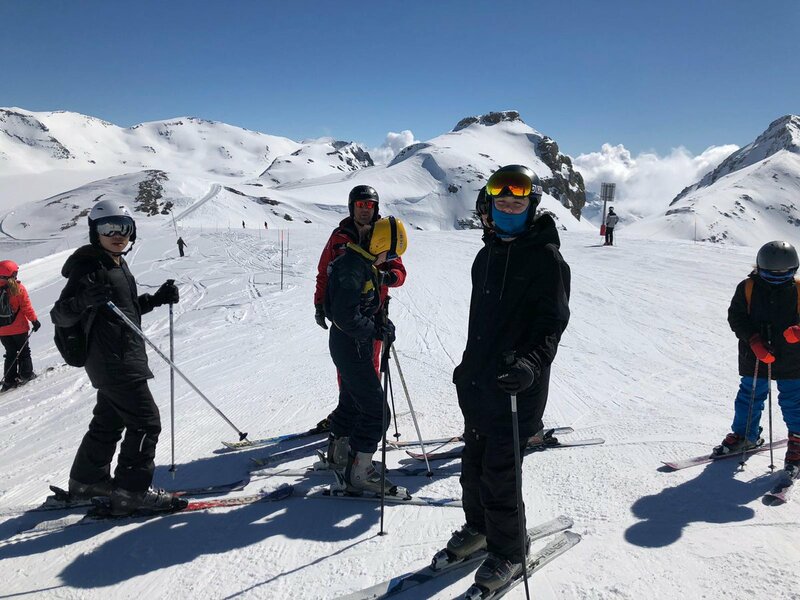 Download Dylan's picture. Imagine you are Kunta Kinte. 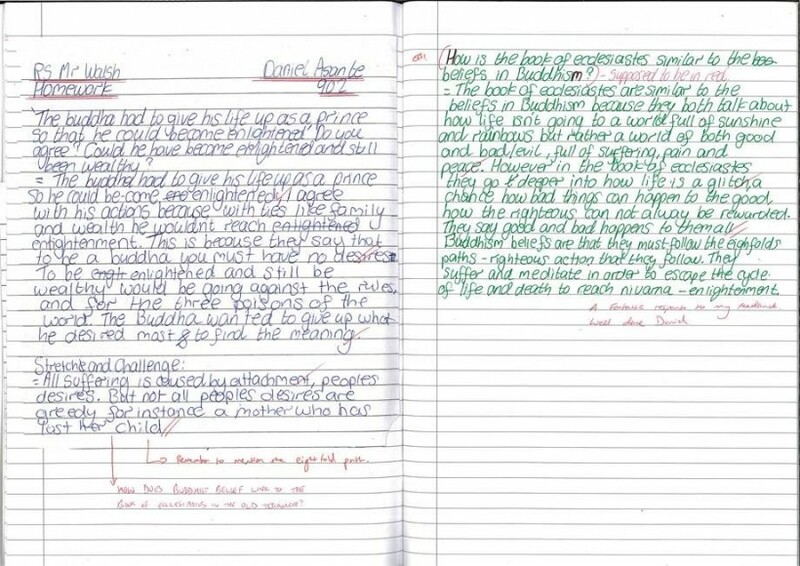 Use empathy to write three diary entries to describe the journey on the Middle Passage. Consider how he would be feeling. What would the sights, sounds and smells be like? Challenge: describe clearly how conditions deteriorate over the journey. This piece of writing by Colin Trieu shows excellent use of detail and real empathy. Download Colin's description. Create an informative web page on the Great Depression. Include causes, impact, images and your judgement. Challenge: beat the teacher! Support your work with specific examples you have researched that you think your teacher won’t know! This web page by Jed Cross is extremely professional in its presentation and layout and provides a succinct and accurate summary of the Great Depression. Download Jed's webpage. 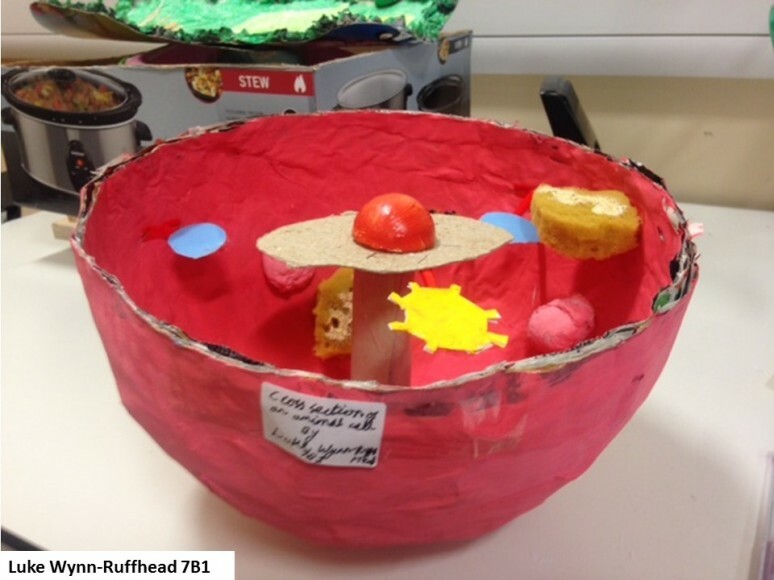 Create models of Wonders of the World to support your current scheme of work. 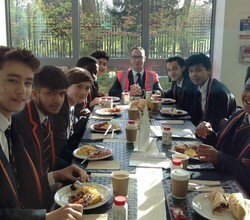 Students who created this fantastic work were Esteban, Fernando and Yousef. 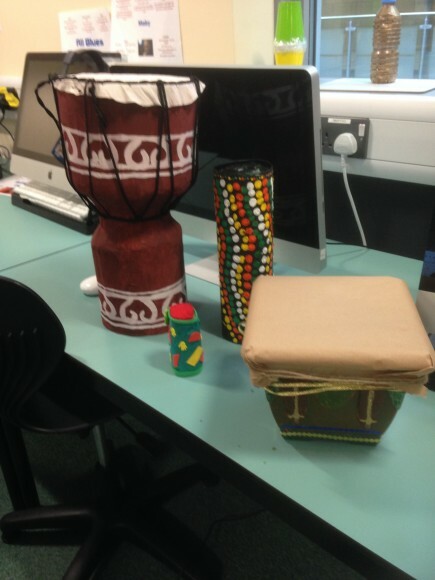 Make an African style instrument that you can play in lessons (drum or shaker). The instrument must look authentic and must be able to be played. Muhammed Abdin created this djembe using cardboard, string and paint. 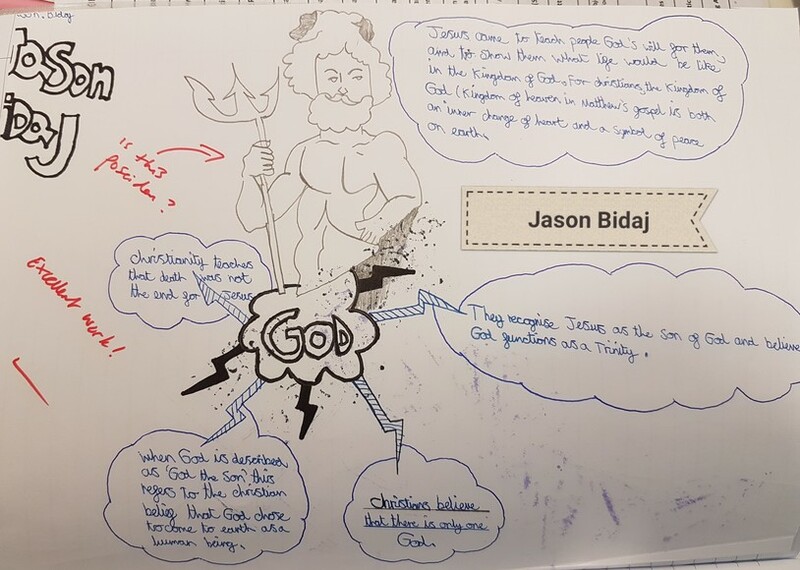 "He put in huge effort as part of a two part homework. His care and attention to detail is excellent, and it plays very nicely," said Ms Murphy, Director of Arts/Subject Leader of Music. 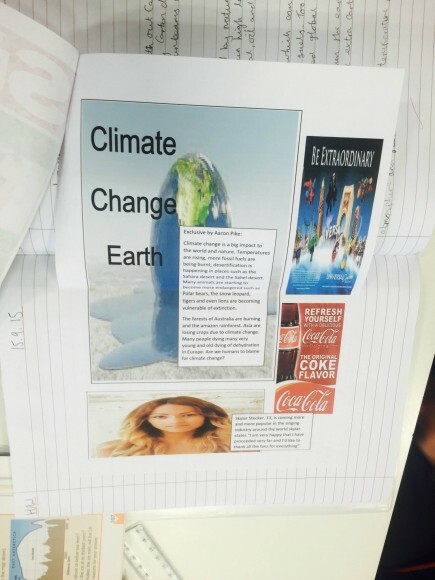 Create a poster to show other Year 7 students what you have learned about the persuasive techniques in AFORREST and SHIN. This poster (right) is by Janeiro Littlejohn, in which he has cleverly incorporated rhyme. 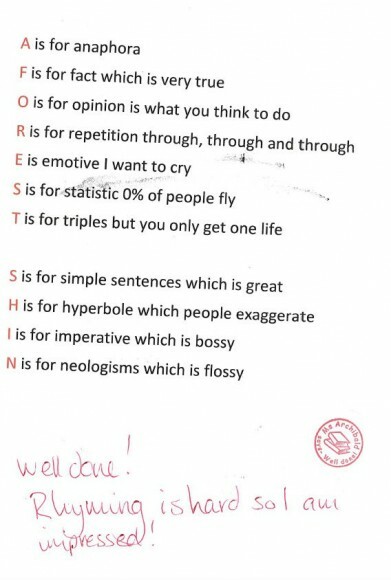 "By creating a rhyme scheme, he has gone above and beyond and shown an outstanding use of language," said Ms Archibald, Deputy Director of English Faculty / Leader of Media Studies. 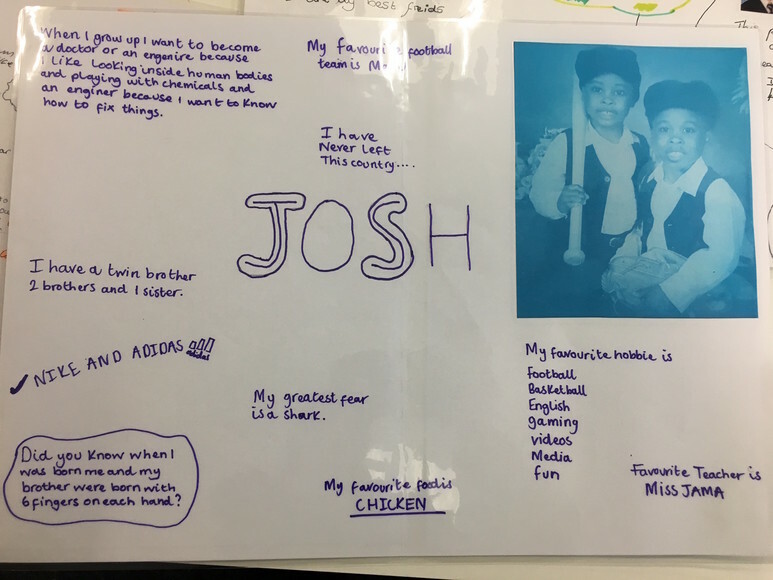 Reza Hussain created a presentation to show what he had learned in dance in the first term of Year 7, covering features in performance and choreography, how to warm up and the purpose of dance. Download his presentation here. Explain Einstein’s Theory of Relativity and the paradox that exists between this theory and Quantum Mechanics. Rio Macuiza's posters show a detailed description of both Quantum Mechanics and General Relativity as well as Rio’s own interpretation of how these theories describe the behaviour of massive objects within our universe. 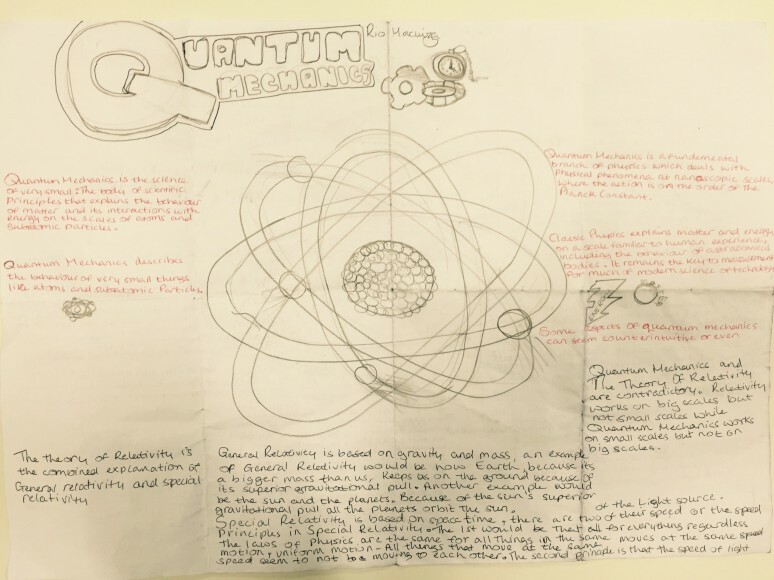 Mr Stubbs, Teacher of Science & Head of Enterprise writes:"The topics I asked this student to cover are theories that are taught at university level, far beyond the standard expected of a year 7 student. This work is truly exceptional; not only did Rio explain to me both theories, he was able to tell me why these theories contradict one another and the paradox that exists as a result of this contradiction. 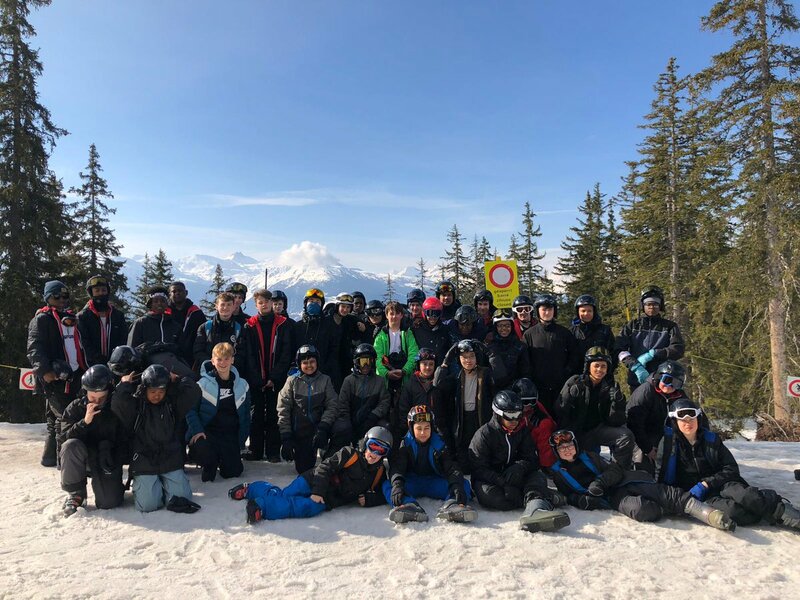 A truly outstanding effort!" Leo Messias looked at how political, economic, social, technologcal, legal and environmental issues affect businesses, using Sony as an example. 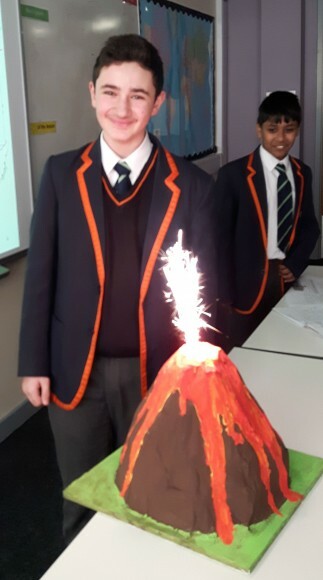 8B1 were set homework to create their own model of a volcano to complement their Natural Hazard work this half term. We were able to 'erupt' the volcanoes, thanks to Miss Rowe's vinegar and bicarbonate of soda collection, to simulate the different types of eruptions. The models looked fantastic and represented many different types of volcanoes. 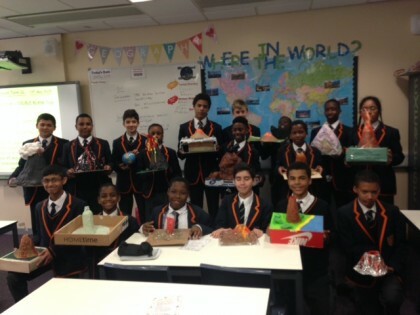 Special mentions for excellent models with excellent geographical detail go to: Semih, Connor, Josh, Bilal and John. Match the watches with the sentences. Read the sentences and write the correct time. 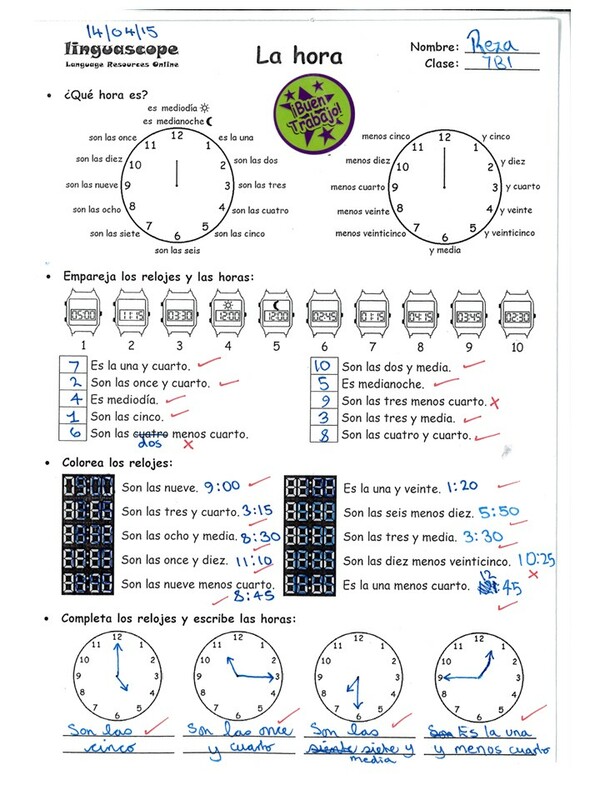 Fill the watch face and write the correct time in Spanish. The picture shows the worksheet completed by Reza Hussain. Telling the time in a foreign language is challenging and he excelled. 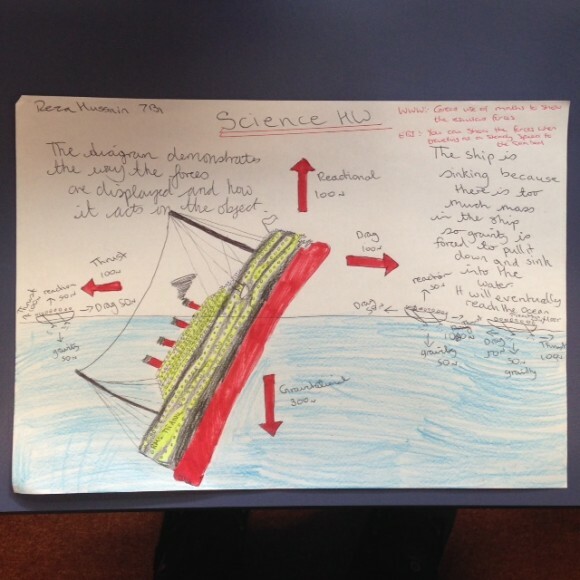 âÂÂpicture shows a diagram of a sinking ship, with all the forces labelled. Reza has also given a detailed description of what is happening. 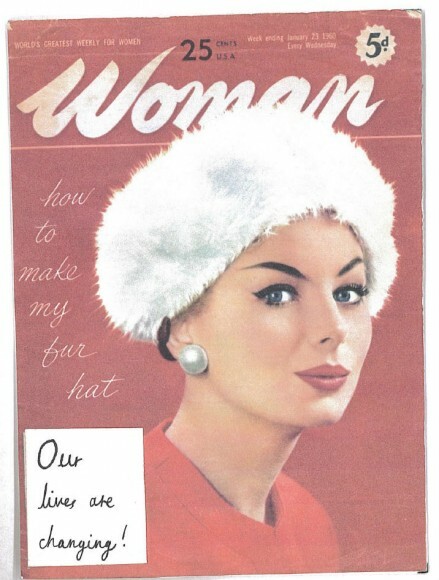 Create a summary to show the major changes that took place for women 1945-1975. Tygar Smith created a magazine which he used to show a summary of what he had learned. 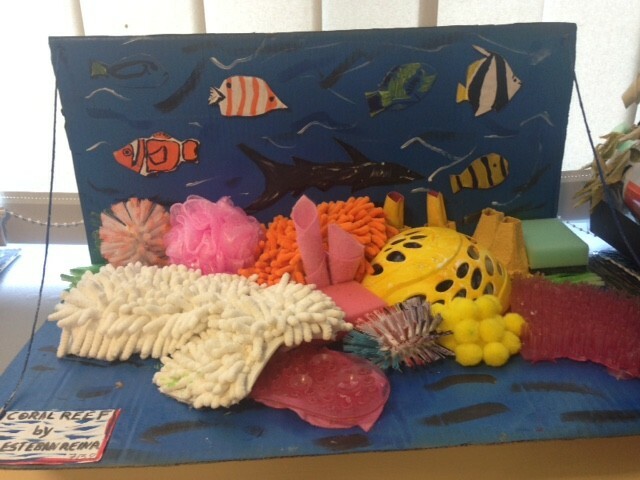 Create a model of a coral reef. 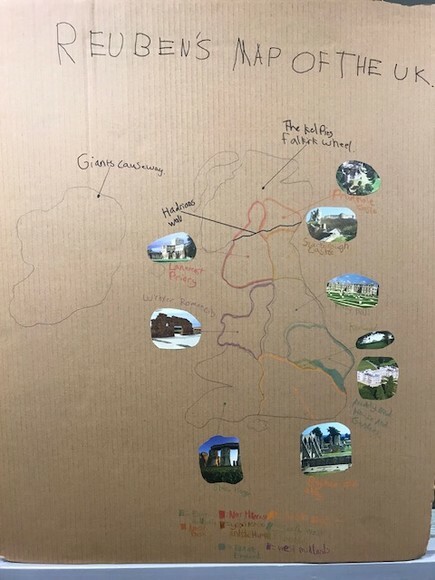 The project allowed students to explore their creative side in the context of Geography, and also develop their resourcefulness and resilience. Students showed exceptional creativity and ingenuity and came away with a deeper knowledge and understanding of the delicate coral reef ecosystem. Watch three tracks live on Youtube: Take That (Shine), Coldplay (Fix You) and Bandits (Rather Be). 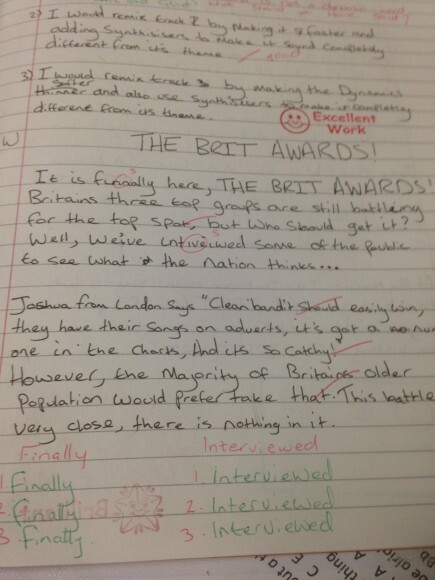 Write a newspaper article comparing the three under the following headings: interaction with the audience, tempo, dynamics and costume, and say which deserved a Brit Award and why? Download an article by student Richard Harris, who imagined he was an Ofsted inspector reporting on a lesson. Describe the clothes of any football player using adjectives following the gender agreement in Spanish. 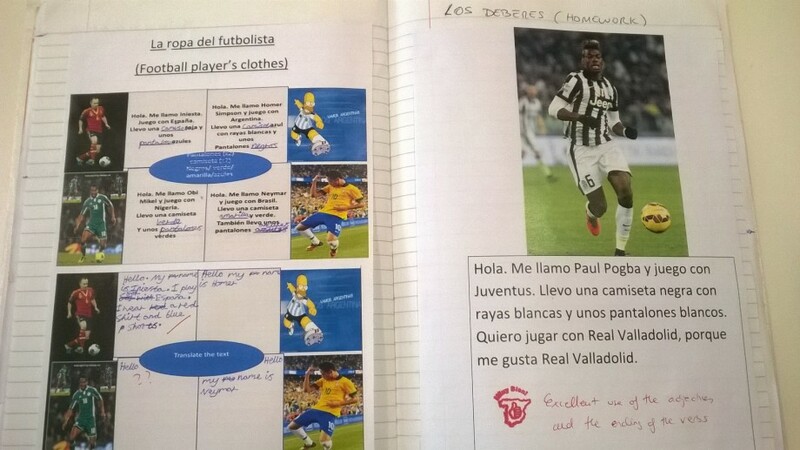 Extension homework: translate of the description of some football players’ clothes from English to Spanish. This example is from Aziz Sankoh. 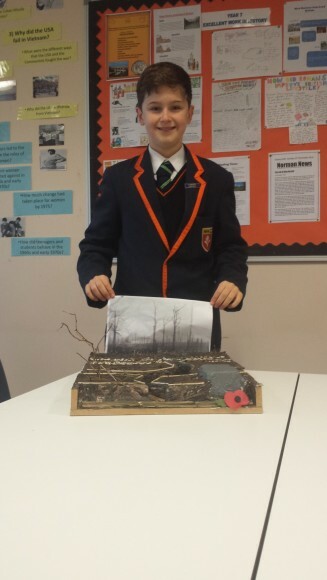 Draw and label or design and make a model of a First World War trench. 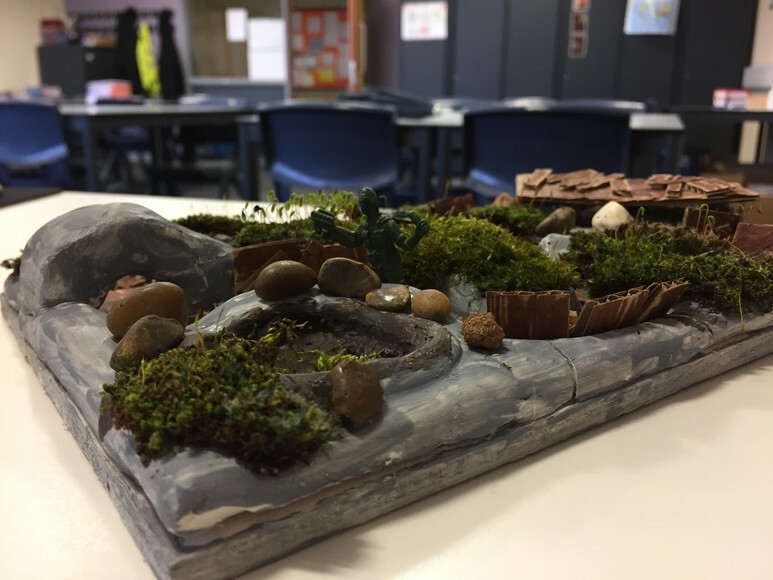 "Joe made this fantastic model of a cross section of the First World War trench, with great attention to detail and realism," says Mr Matthews, Innovation Leader and Subject Leader of History. Imagine you are Kunta Kinte. 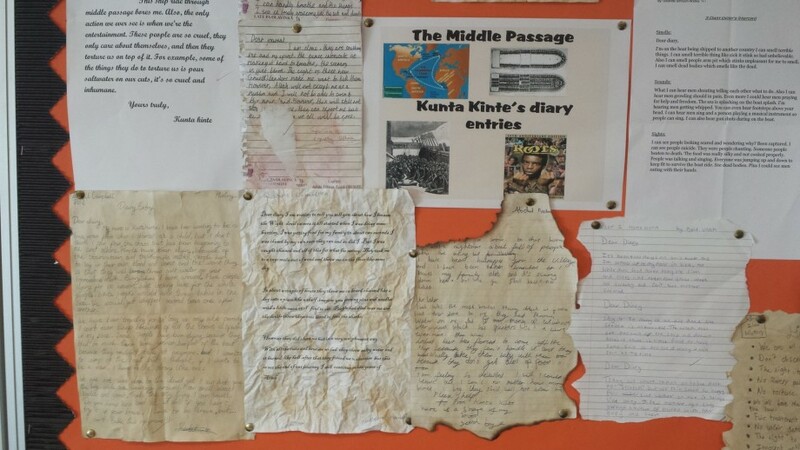 Use empathy to write three diary entries to describe the journey on the Middle Passage. Consider how he would be feeling. What would the sights, sounds and smells be like? Describe clearly how conditions deteriorate over the journey. "This work shows Impressive descriptive writing and use of empathy. 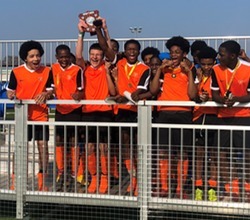 Plus the boys have made the effort to make the diary look like a historical artefact," says Mr Matthews, Innovation Leader and Subject Leader of History. Homework on the regulations of Badminton by Noah Mclean. Download here. 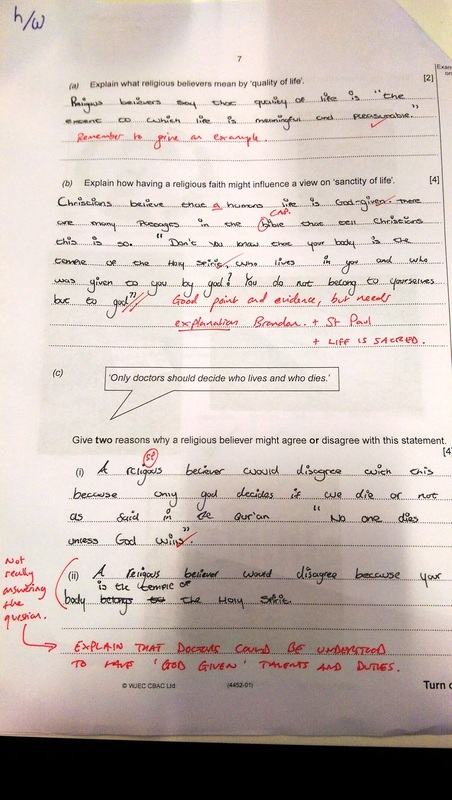 PESTLE analysis carried out by Leo Messias on the BTEC pathway in year 9. Download Here.